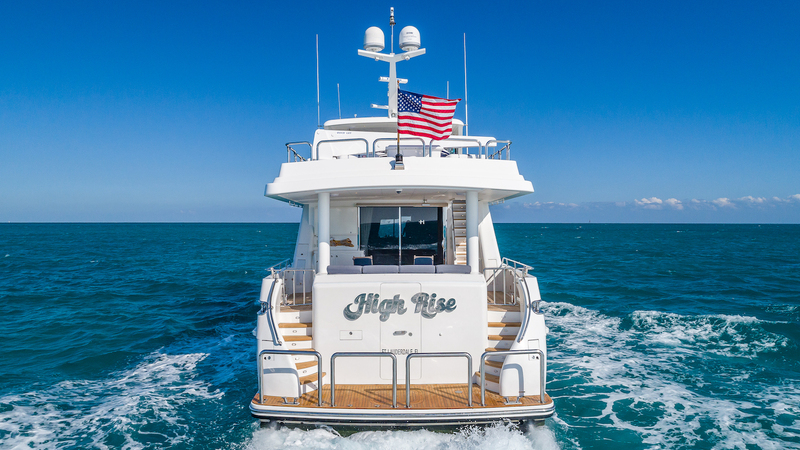 Raised pilothouse luxurious motor yacht HIGH RISE (ex Cameron Alexander, Forever Clarity, Sheri Lynn, Sassy) is a 30.80m custom built vessel by Kha Shing Shipyard and launched in 2010. 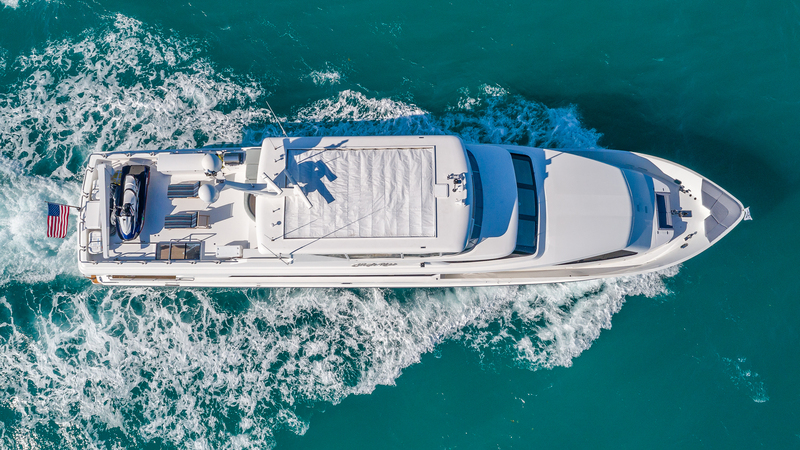 The superyacht´s sophisticated exterior has been created by Hargrave Custom Yachts and her interiors sleep up to 9 charter guests in 4 beautiful cabins. 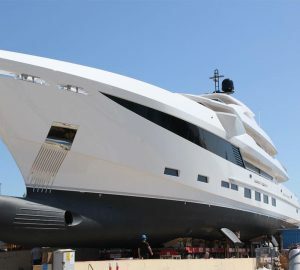 She is managed by a crew of 4. 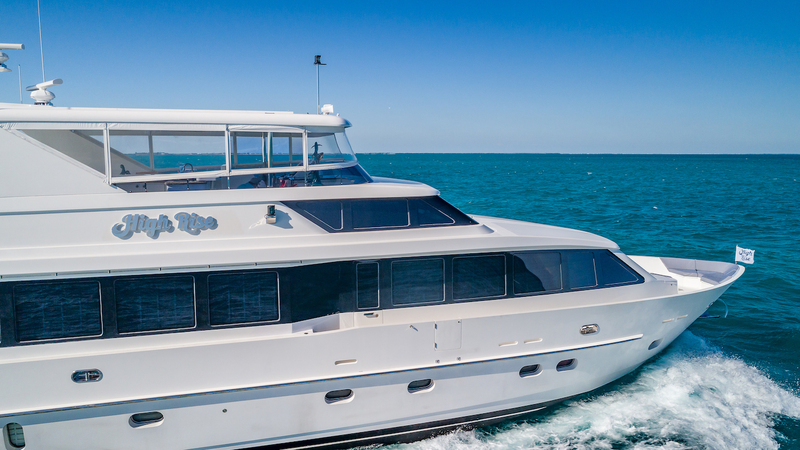 She was refitted in 2018. 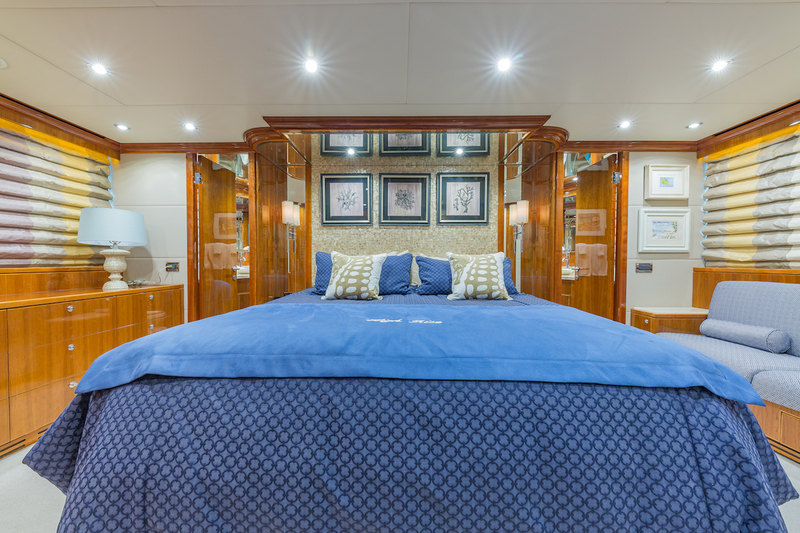 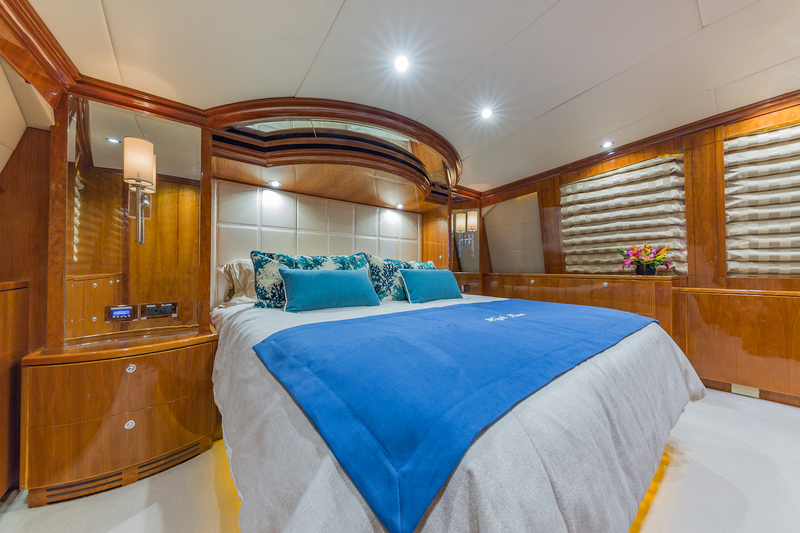 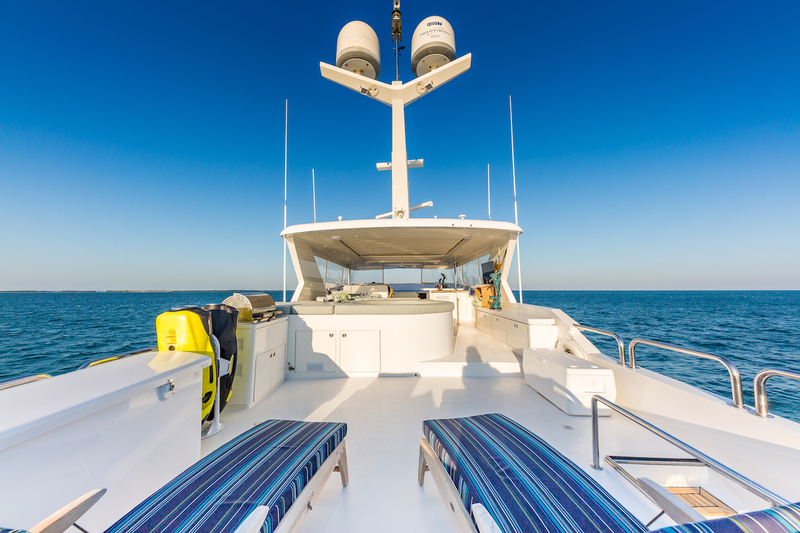 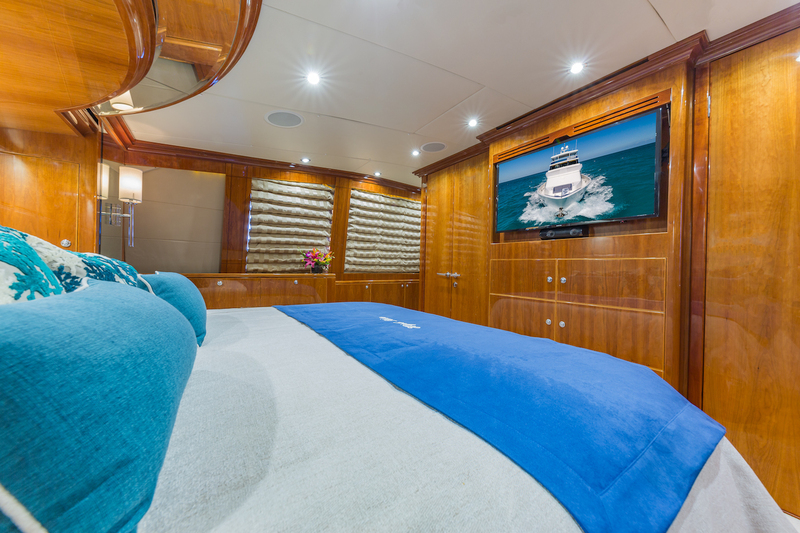 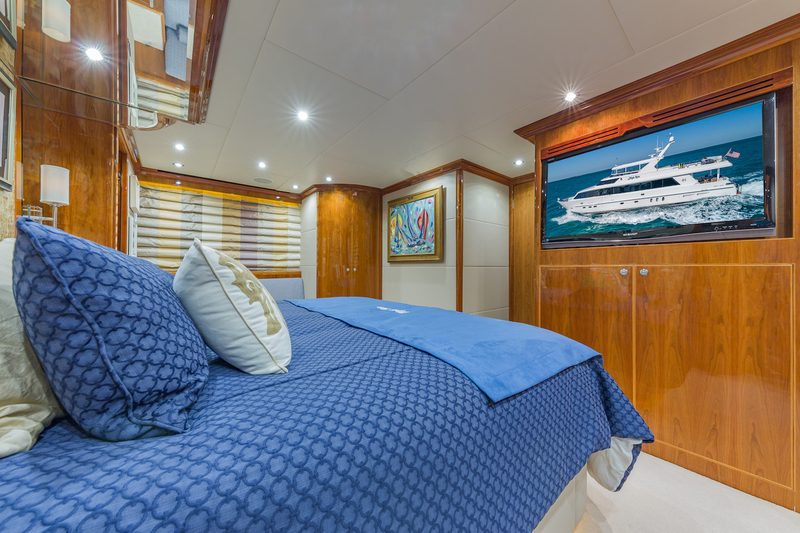 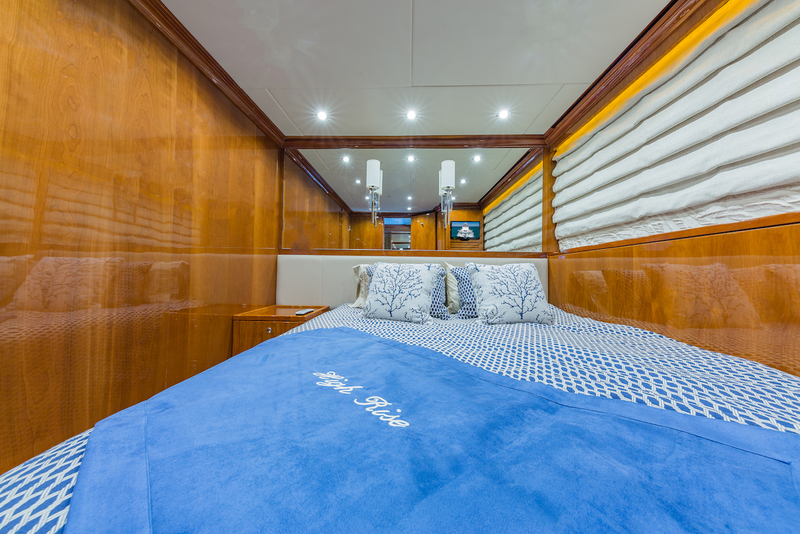 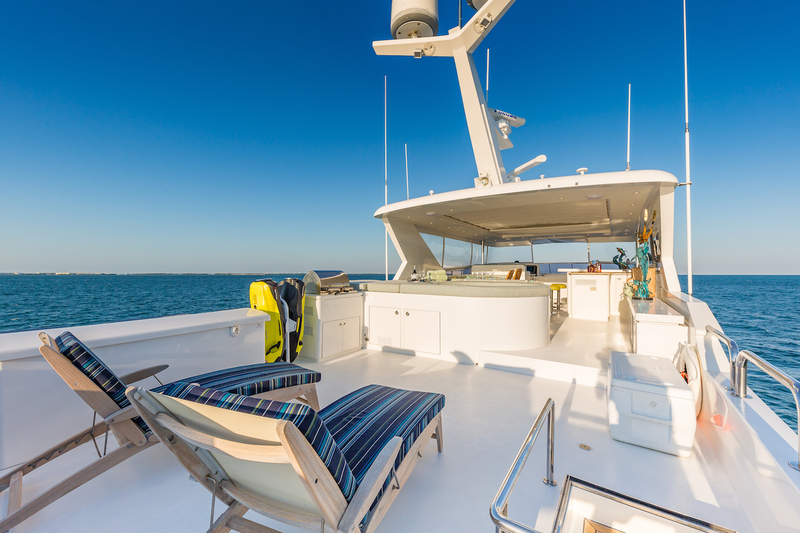 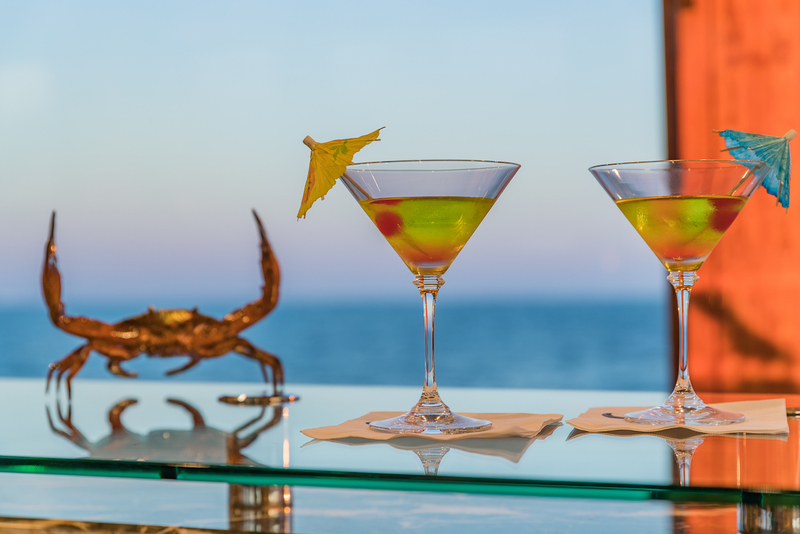 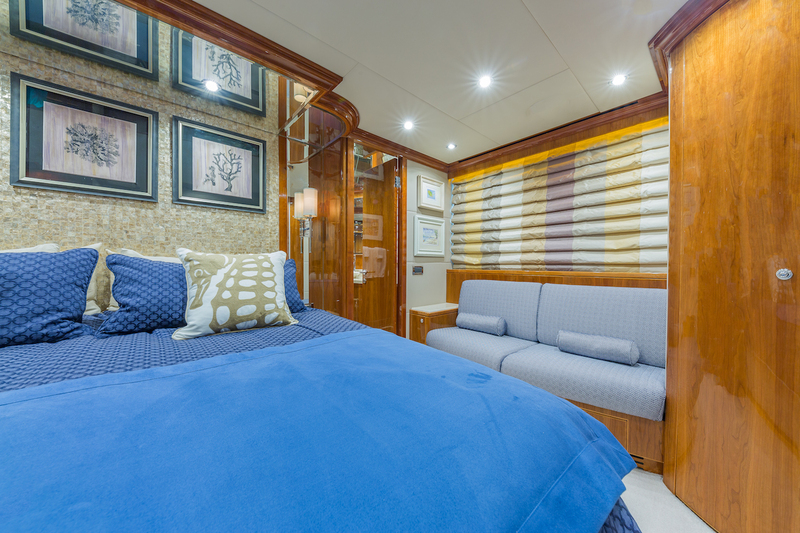 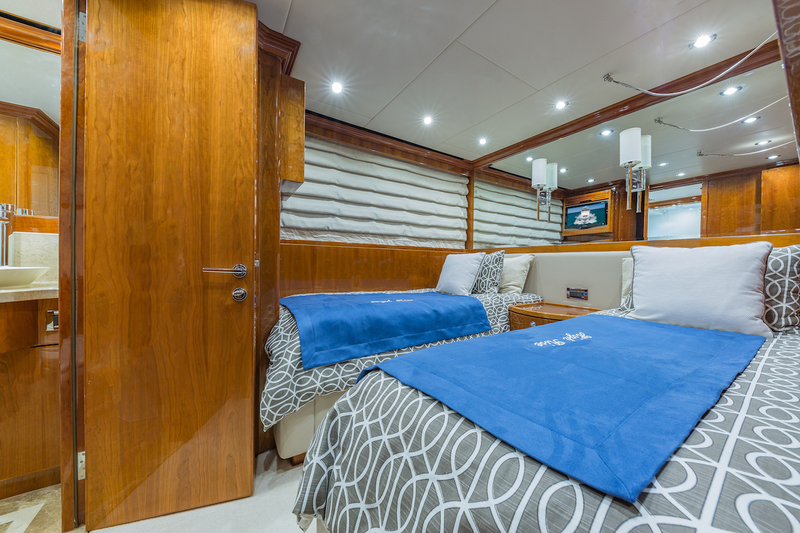 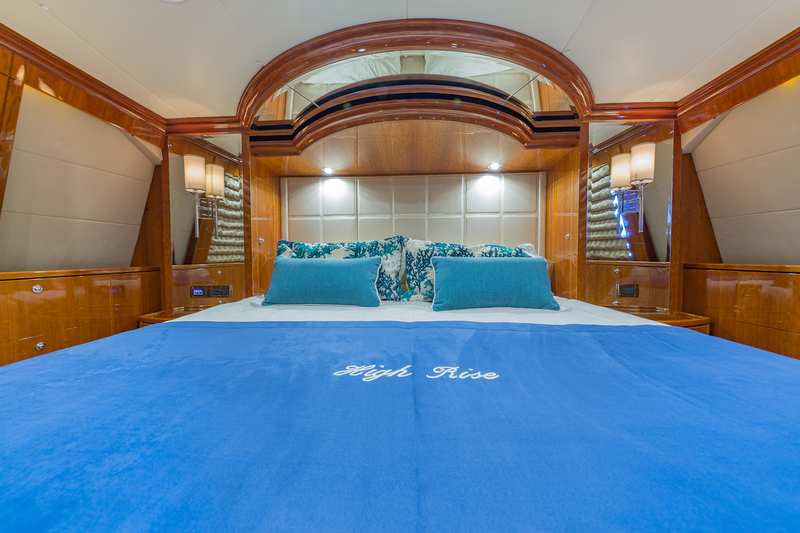 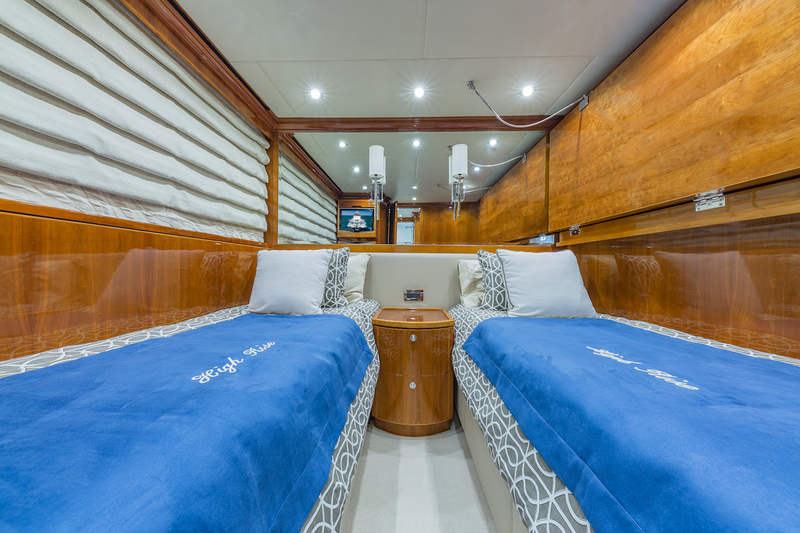 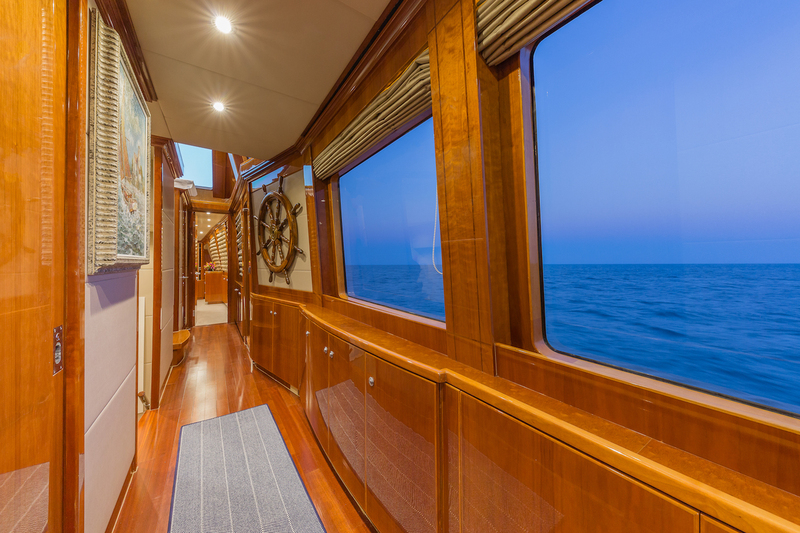 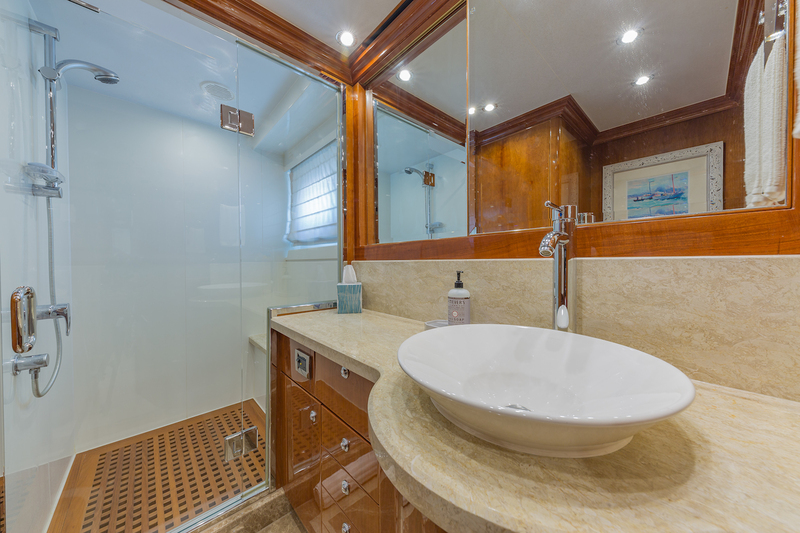 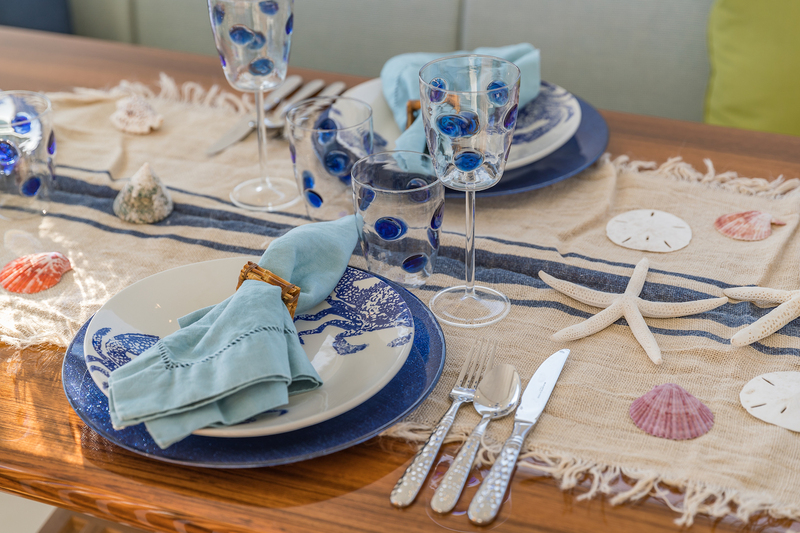 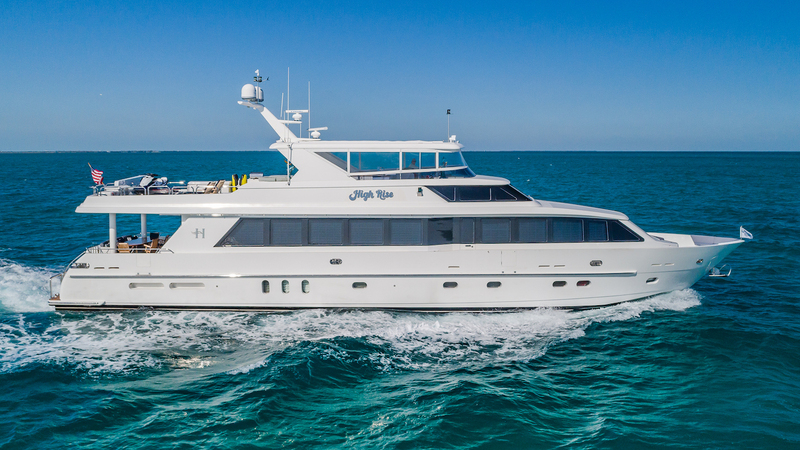 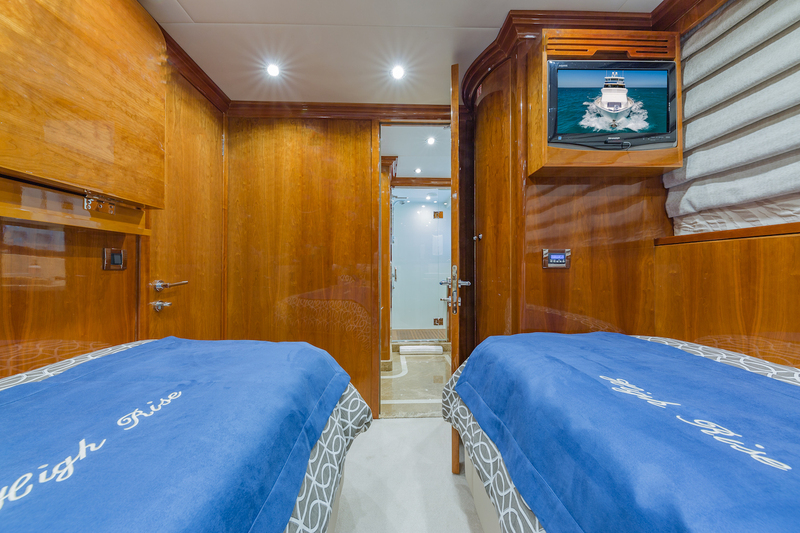 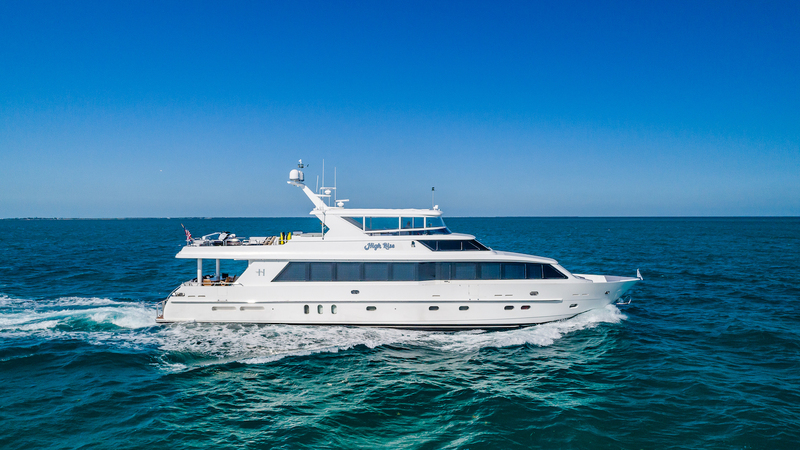 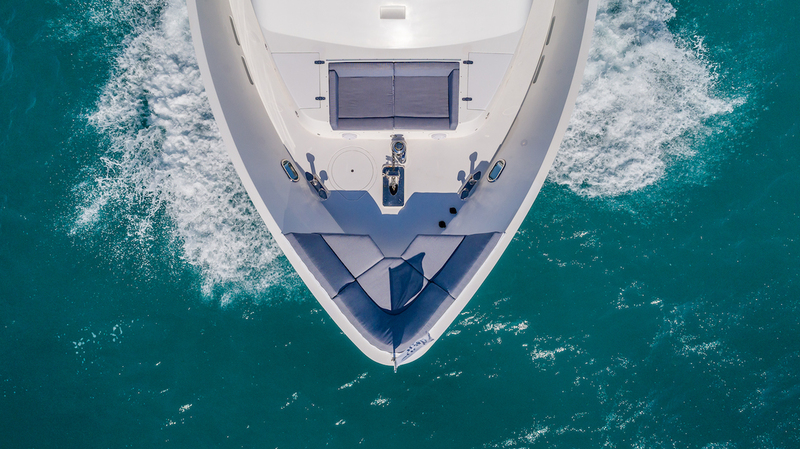 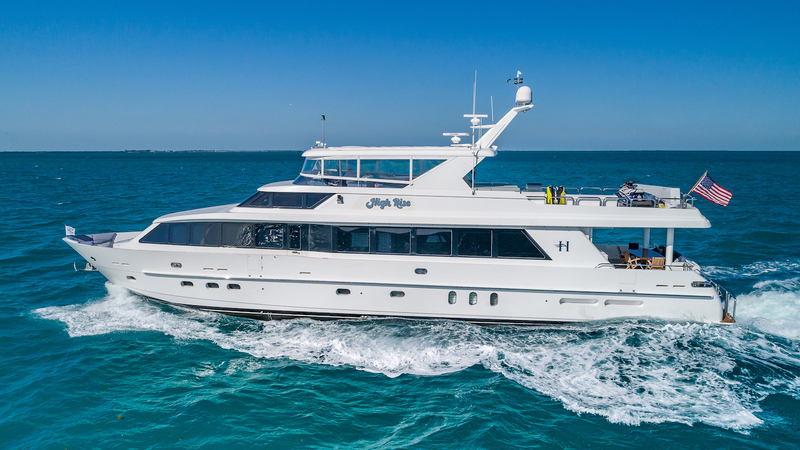 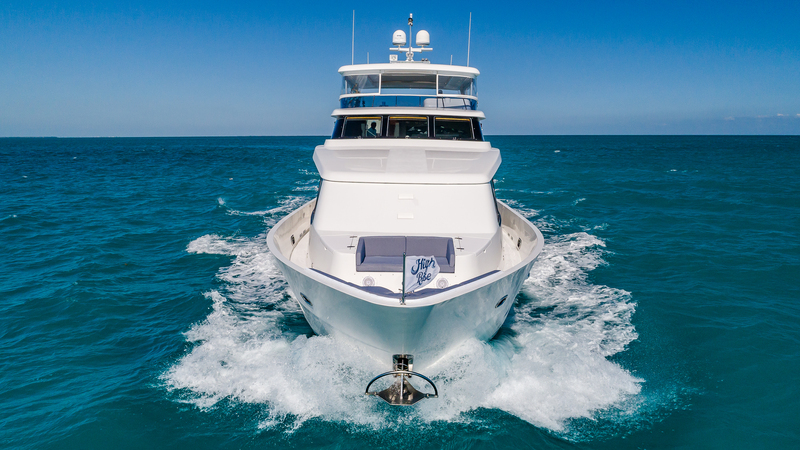 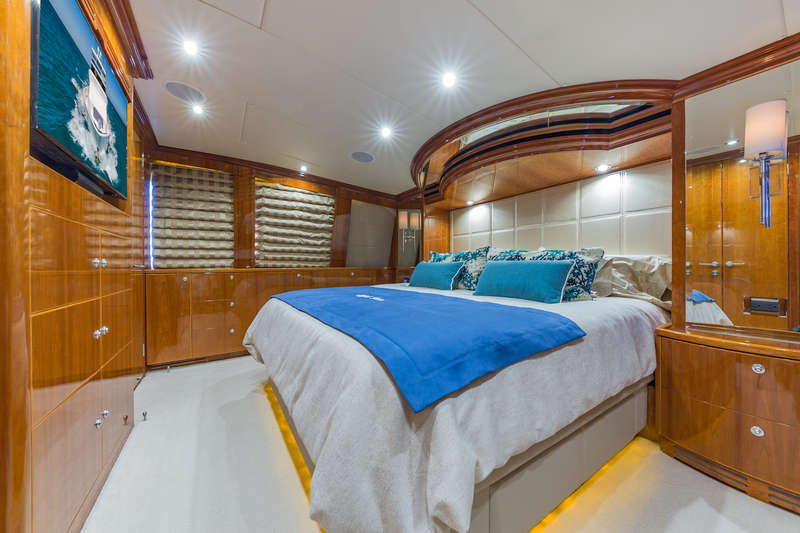 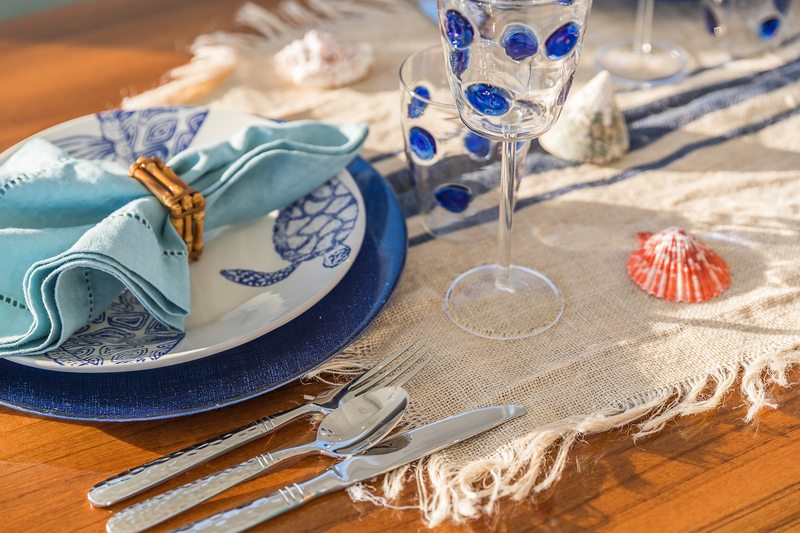 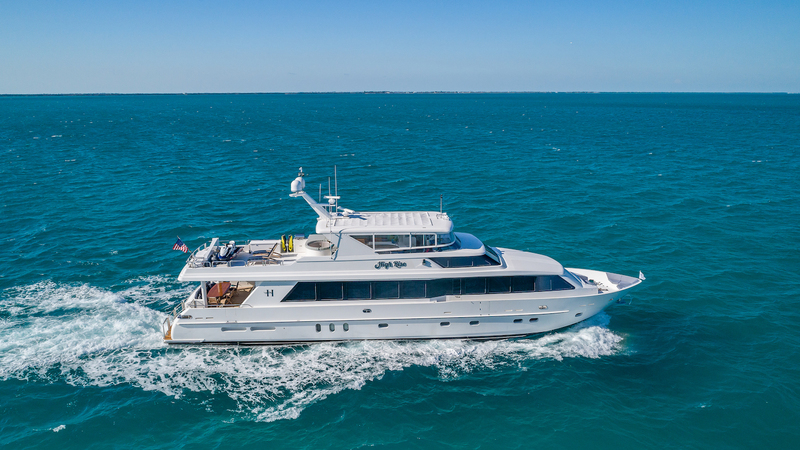 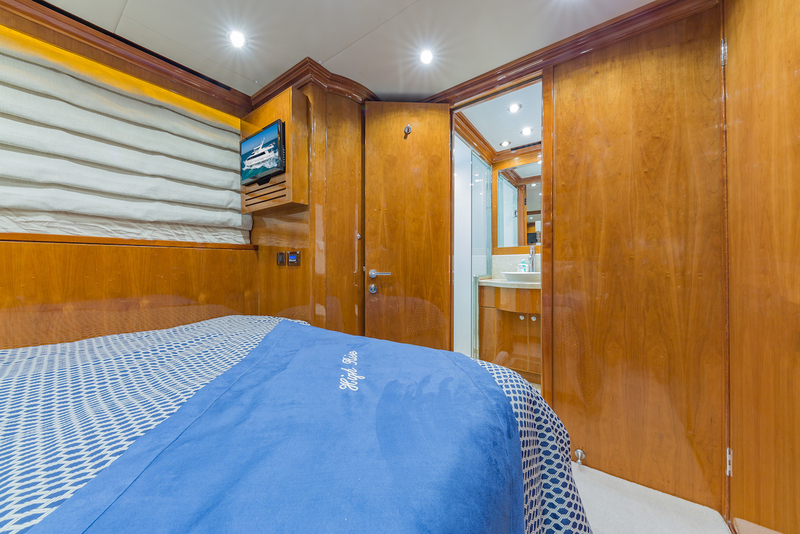 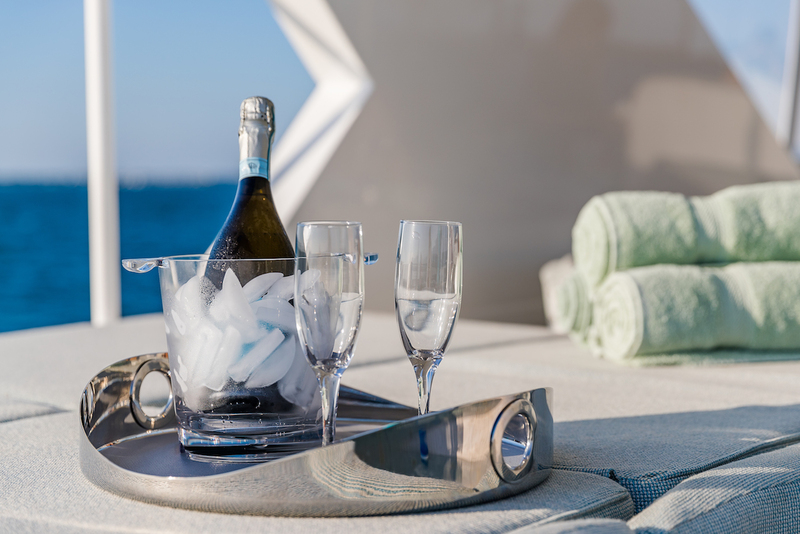 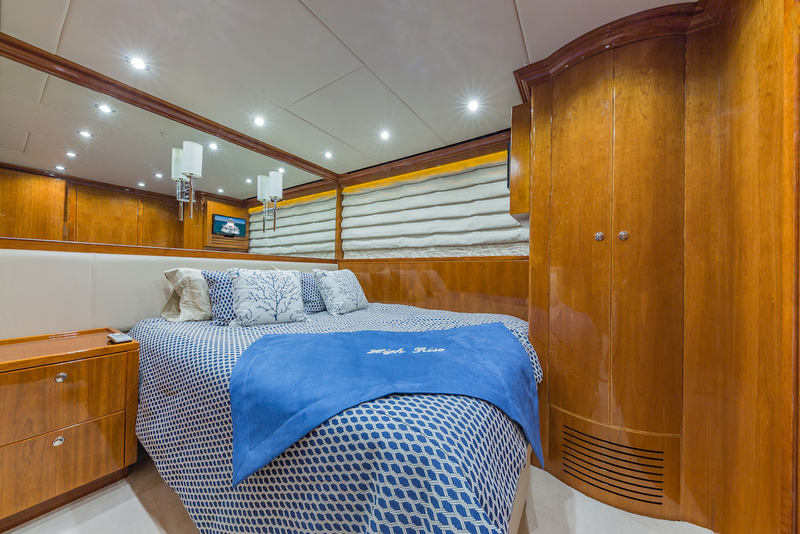 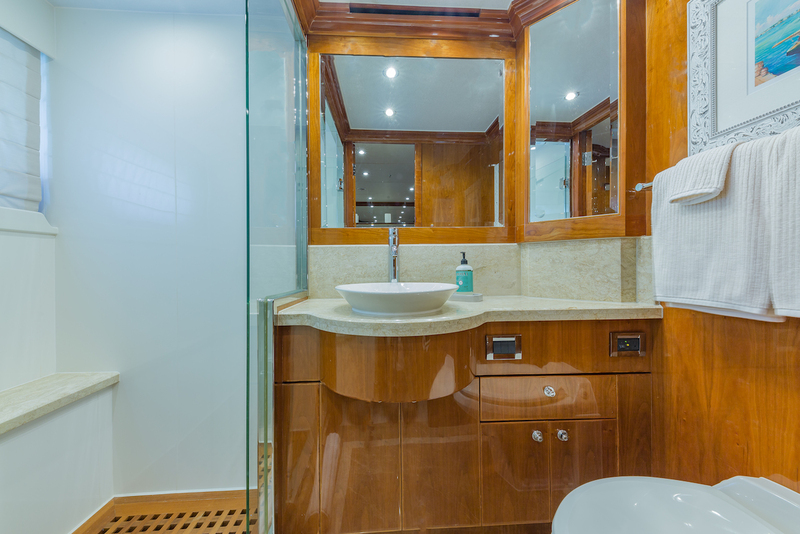 The yacht's accommodation includes a combination of a spacious on-deck master suite with a full beam traditional VIP suite below, plus two additional guest cabins, and comfortable crew cabins. 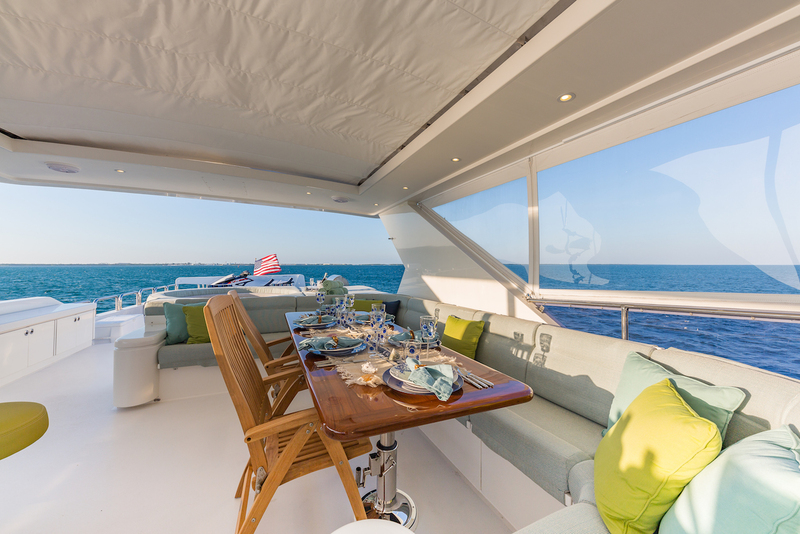 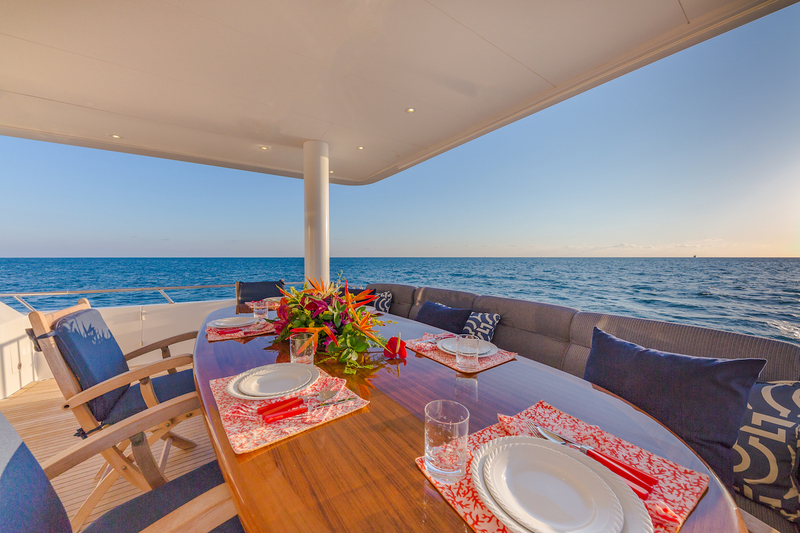 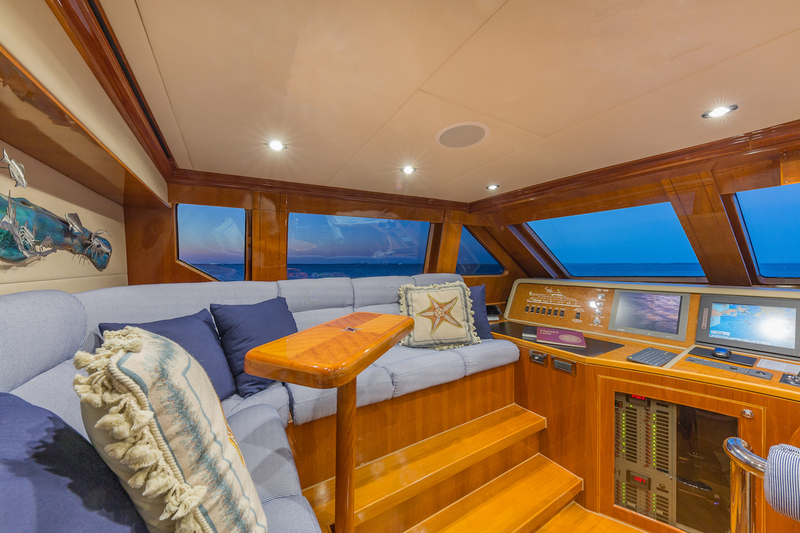 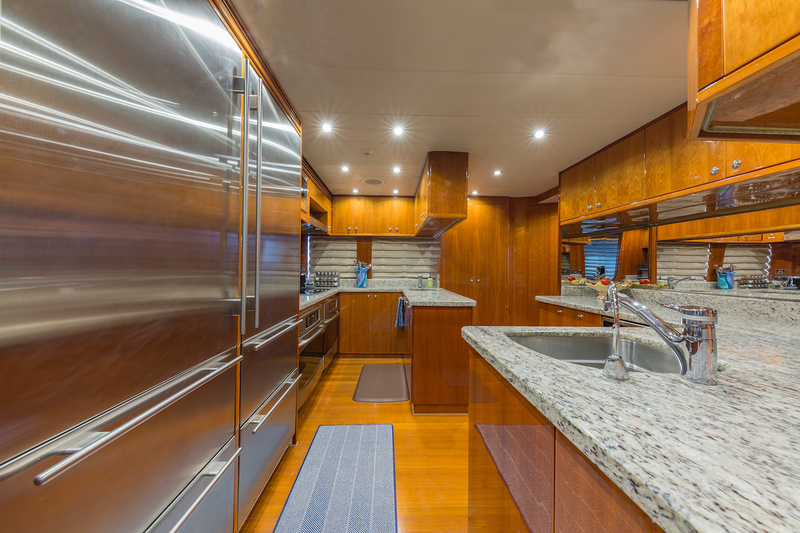 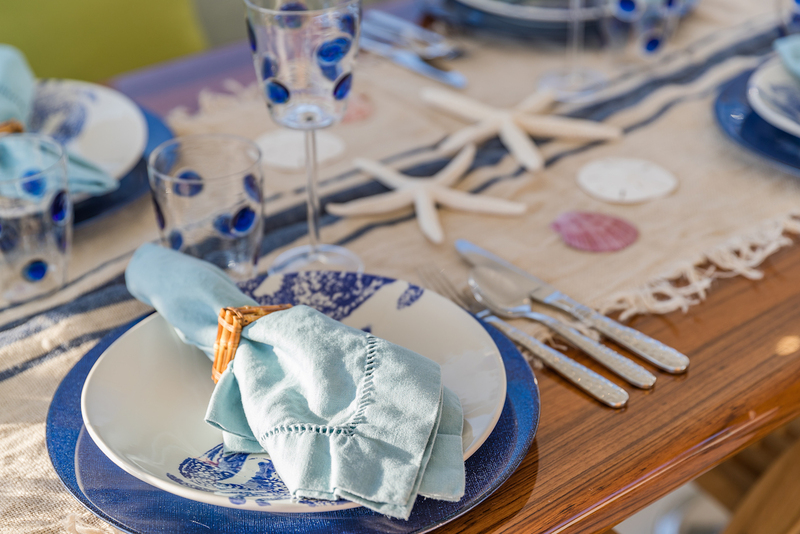 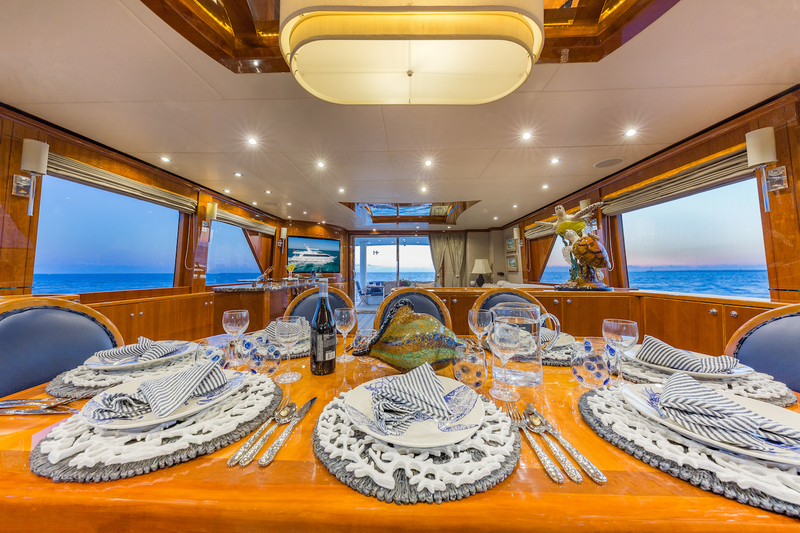 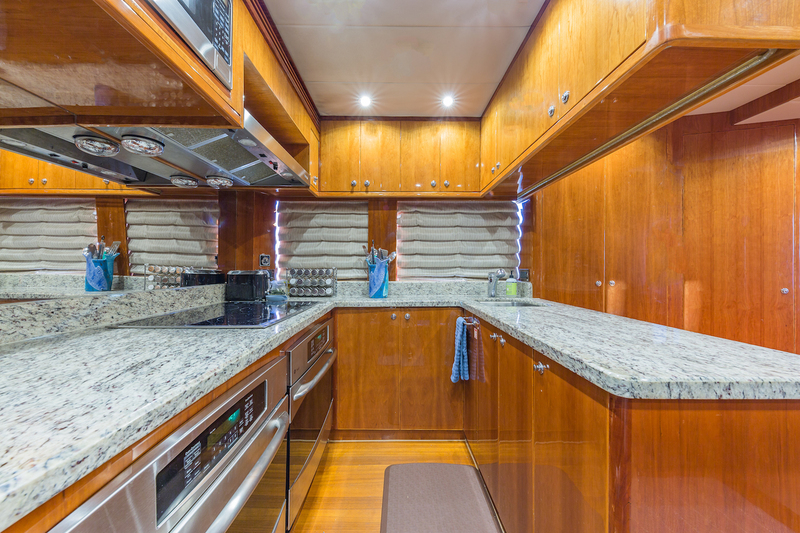 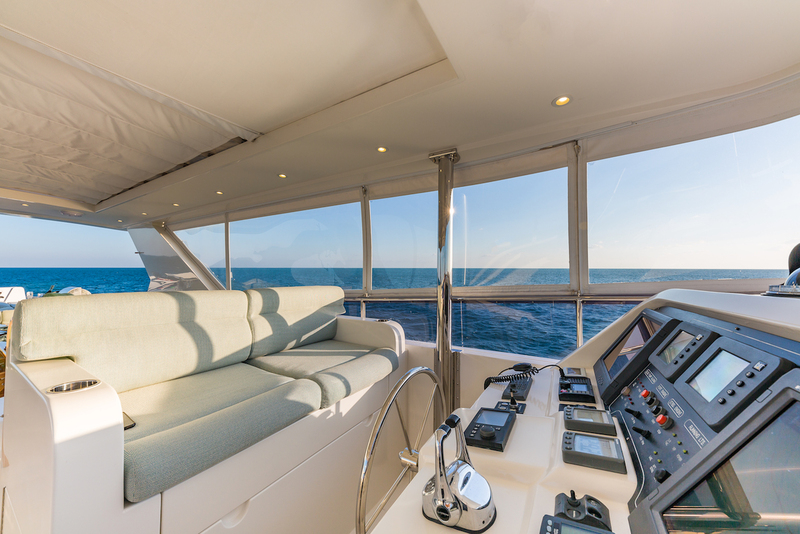 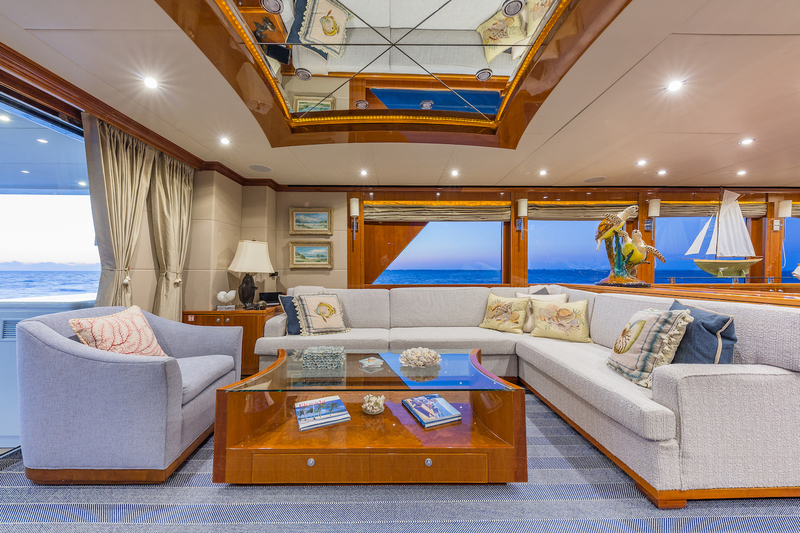 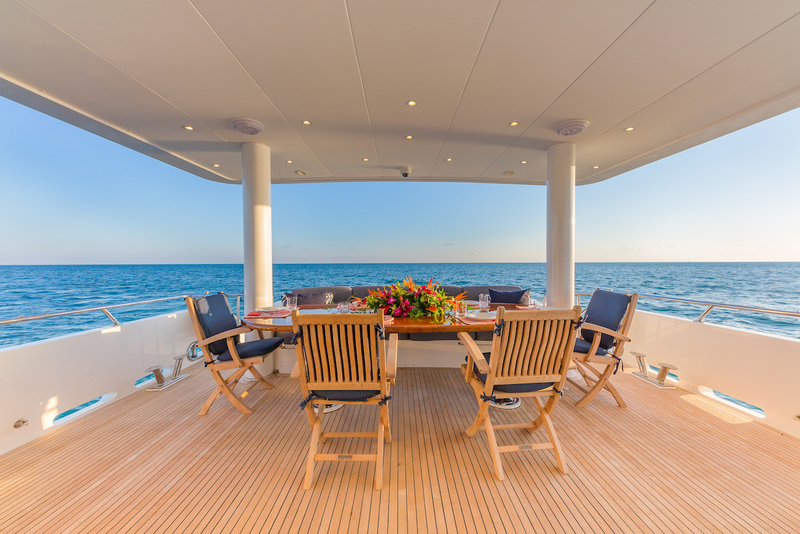 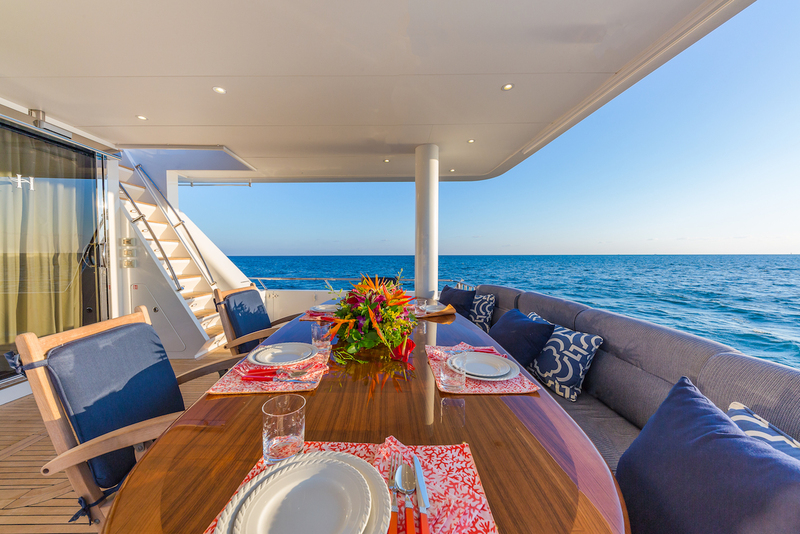 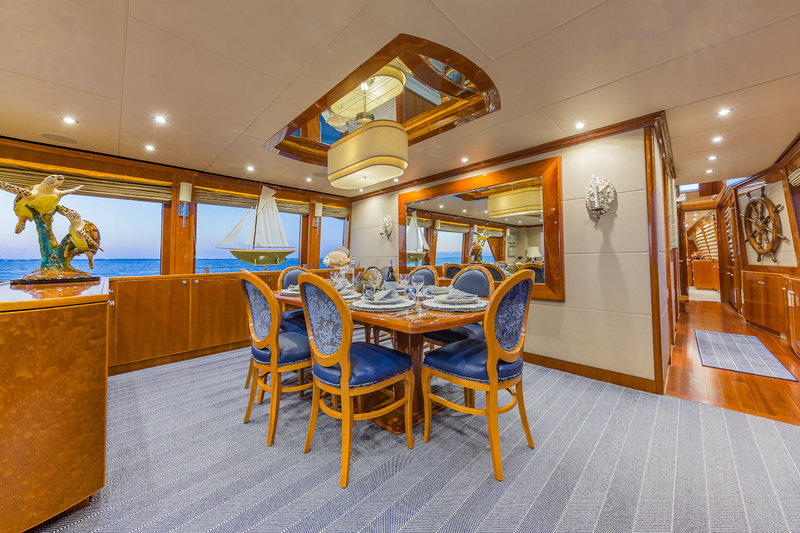 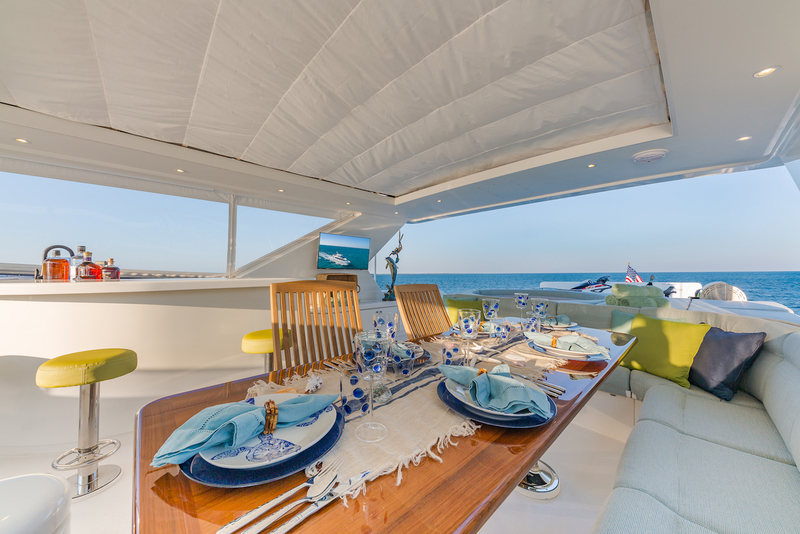 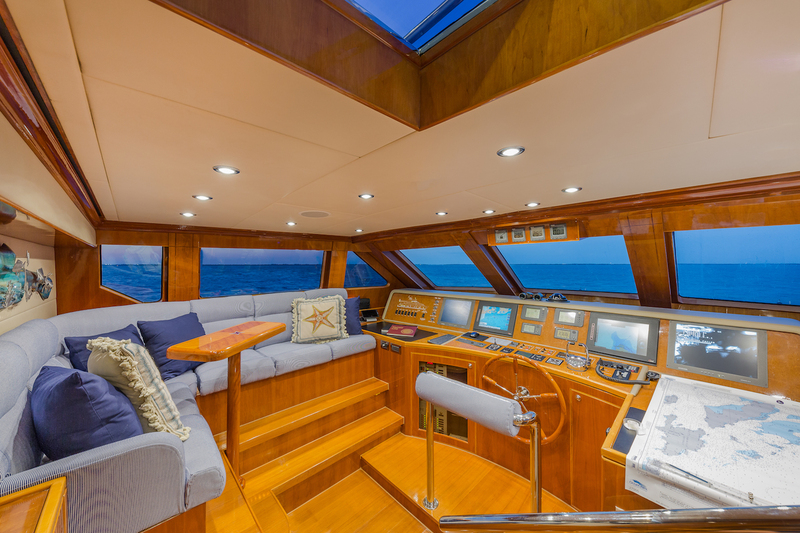 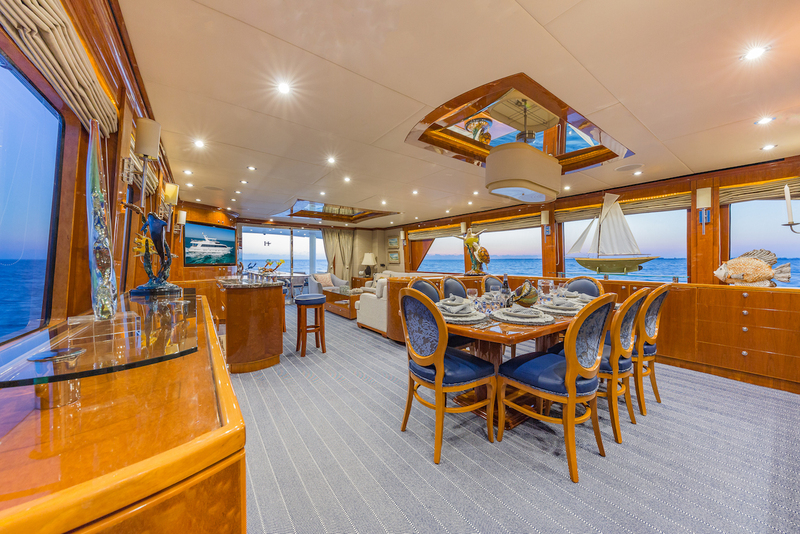 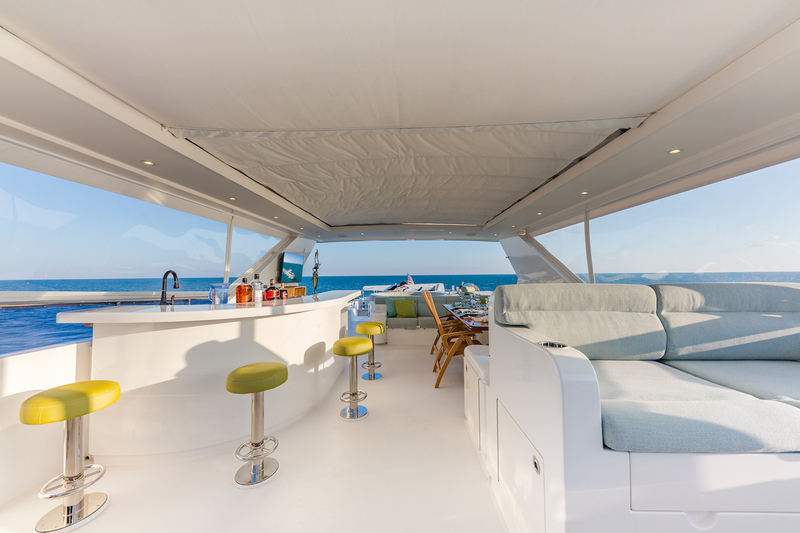 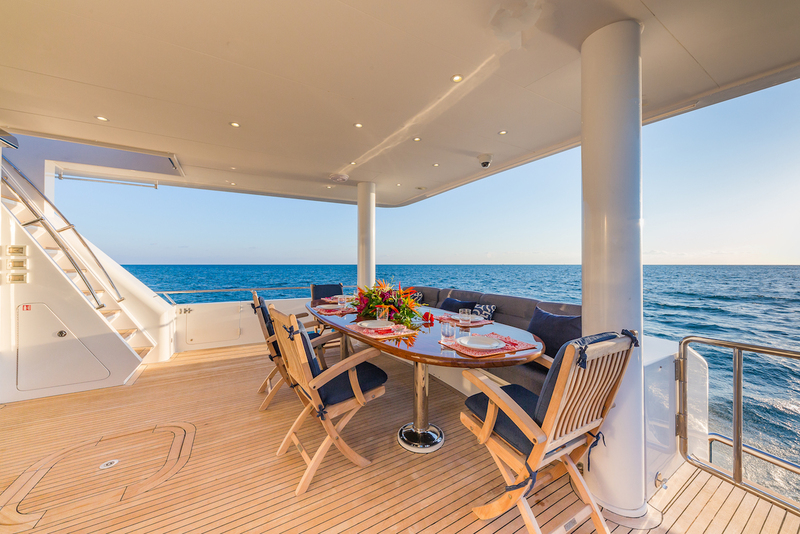 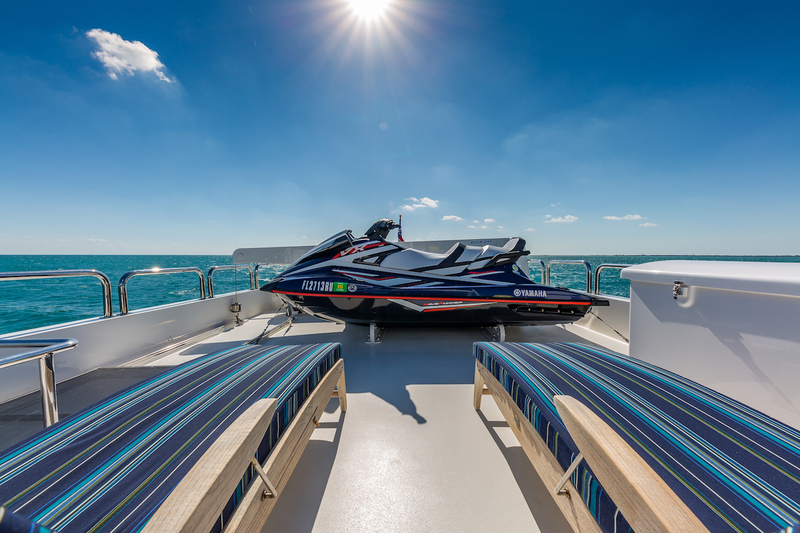 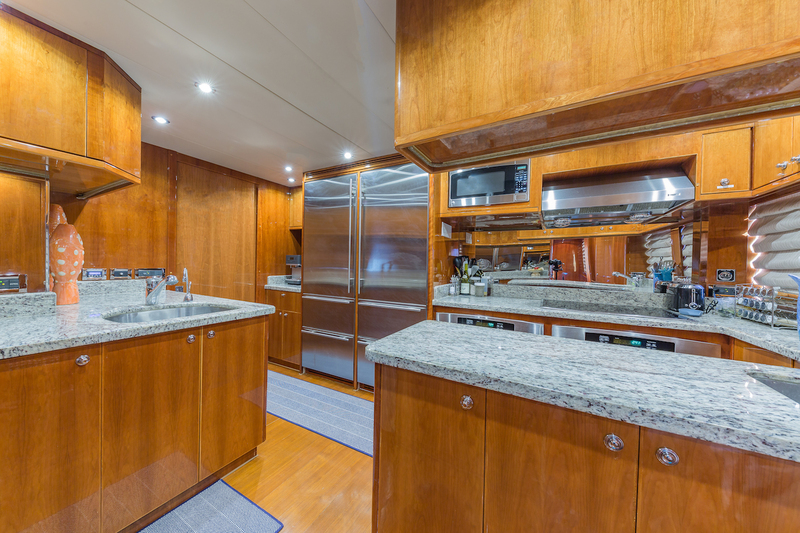 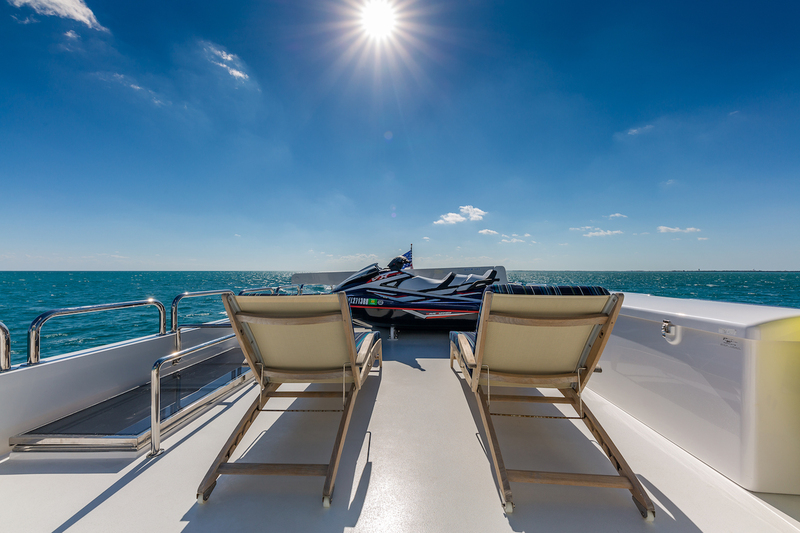 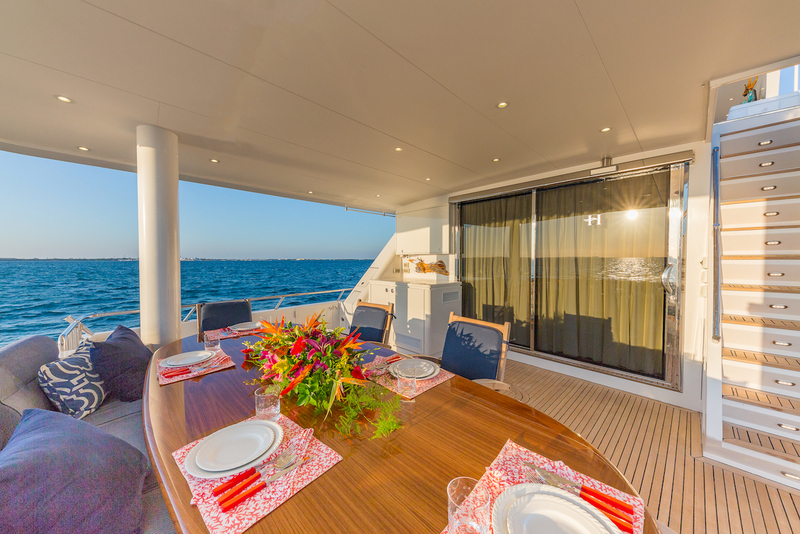 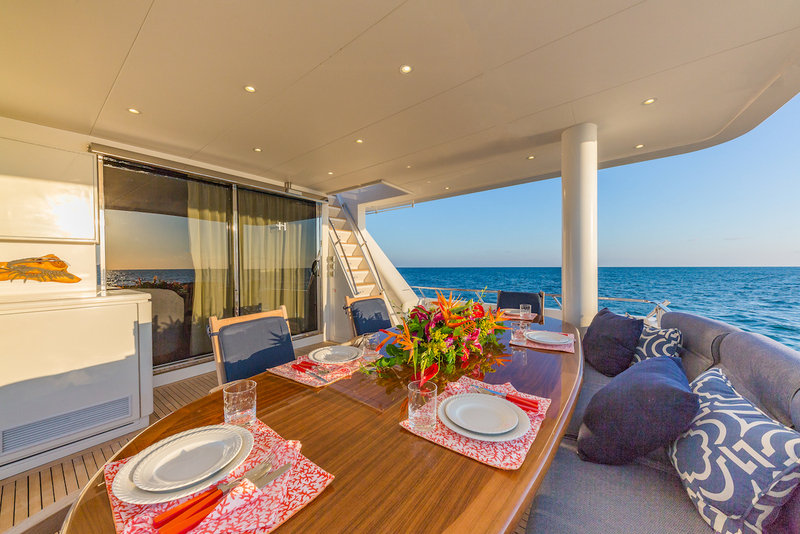 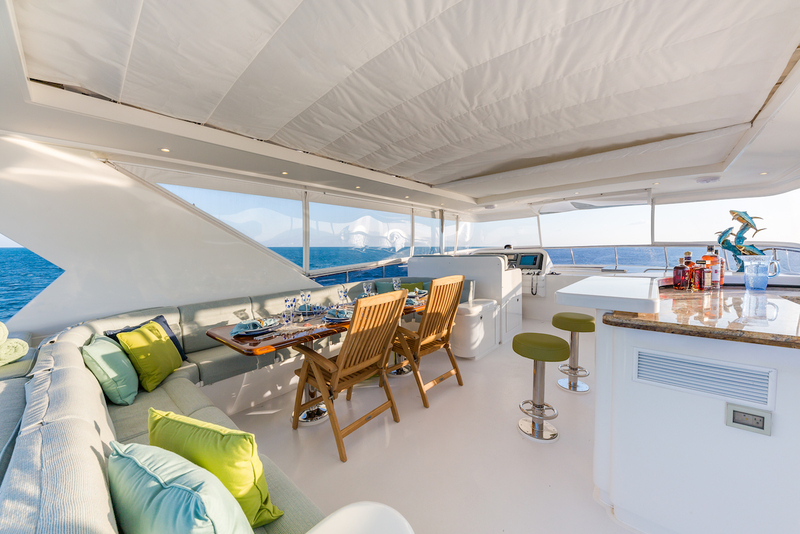 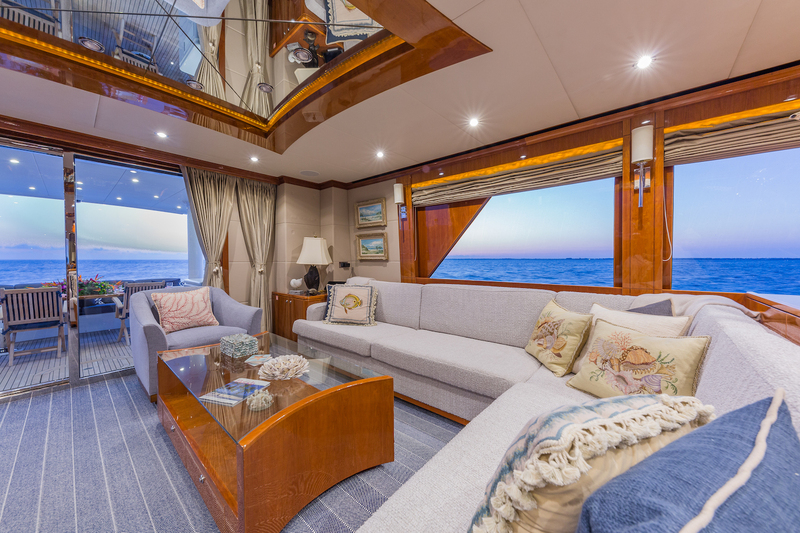 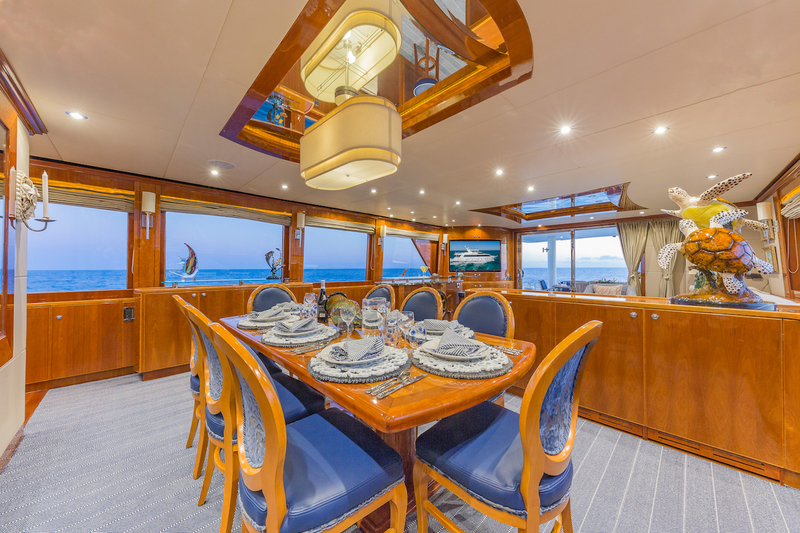 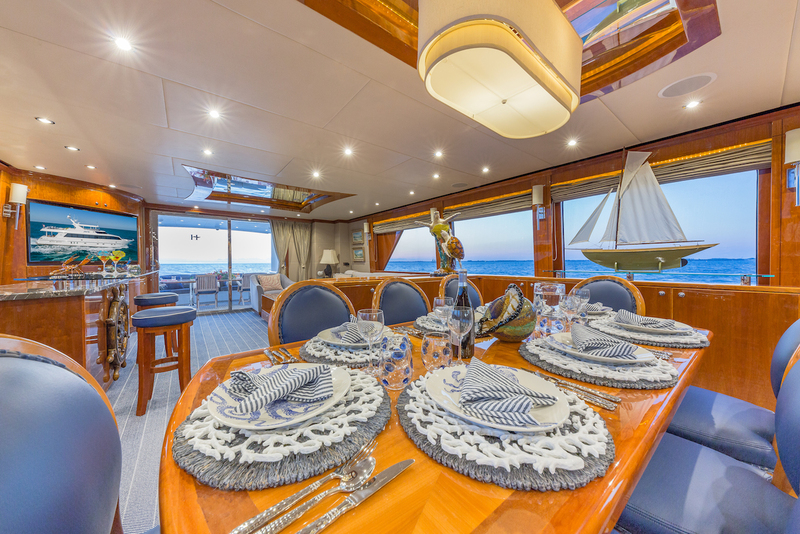 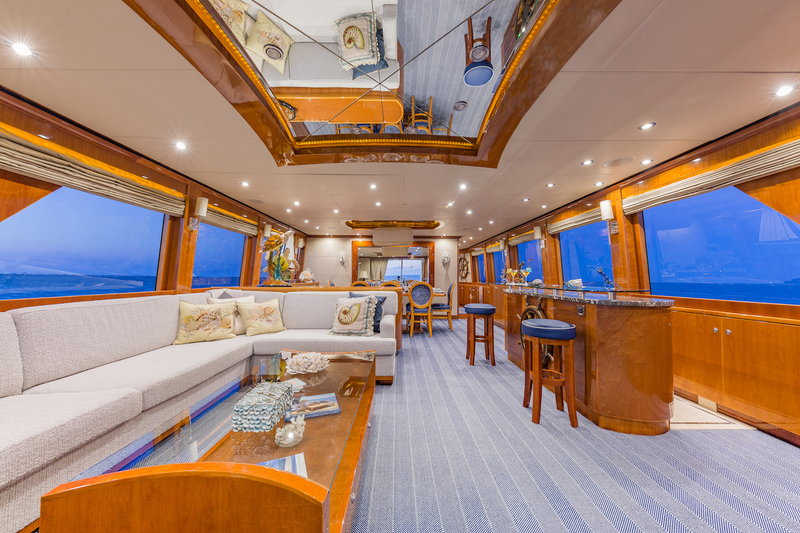 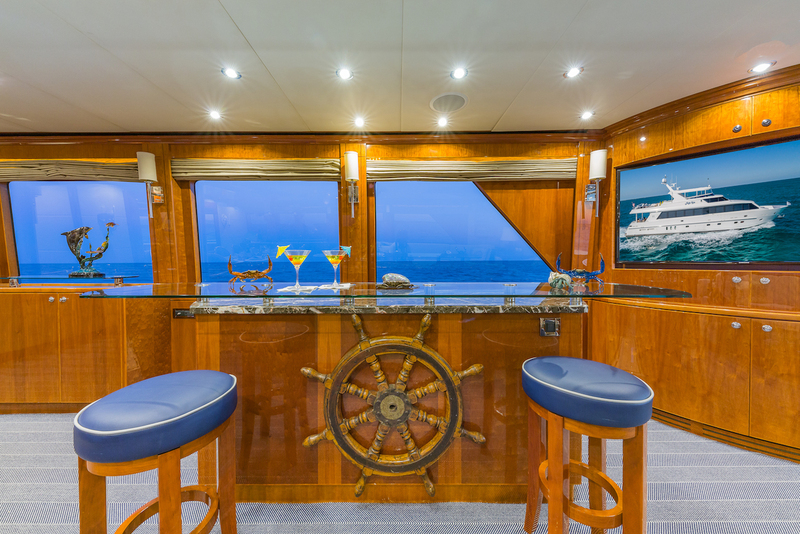 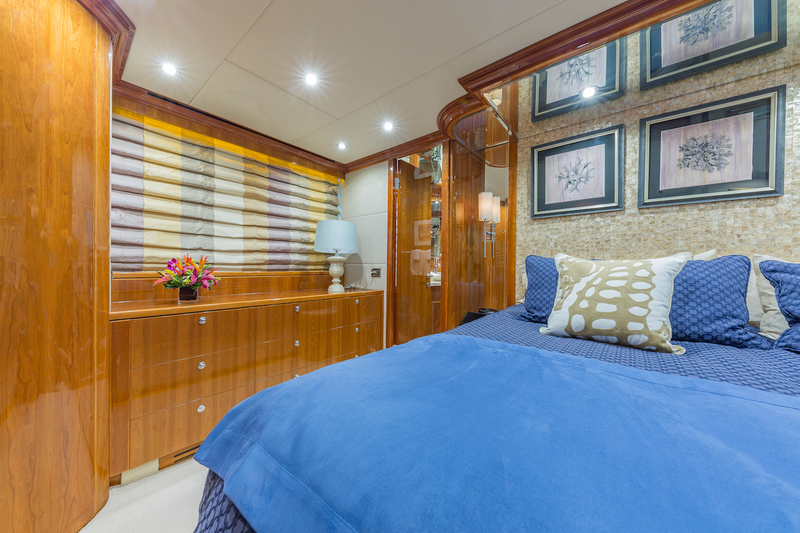 The main saloon is full beam and the dining room seats ten guests in comfort, with additional dining areas on both the spacious aft deck and on the flybridge. 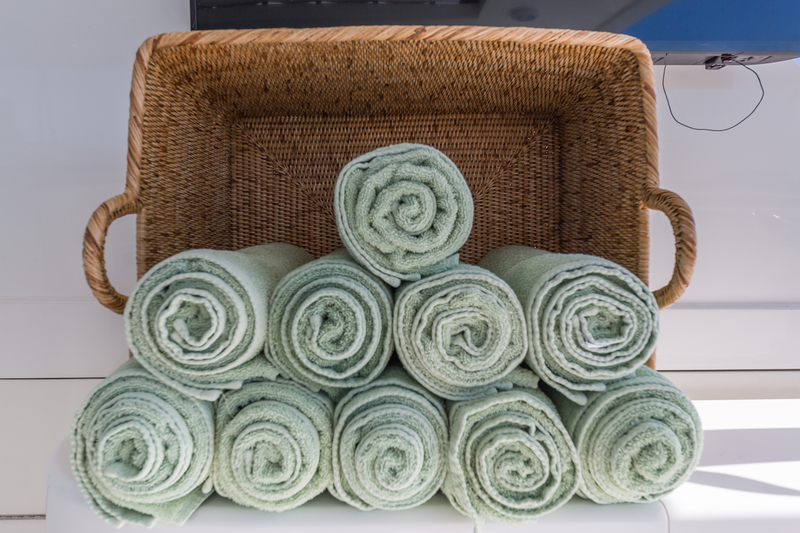 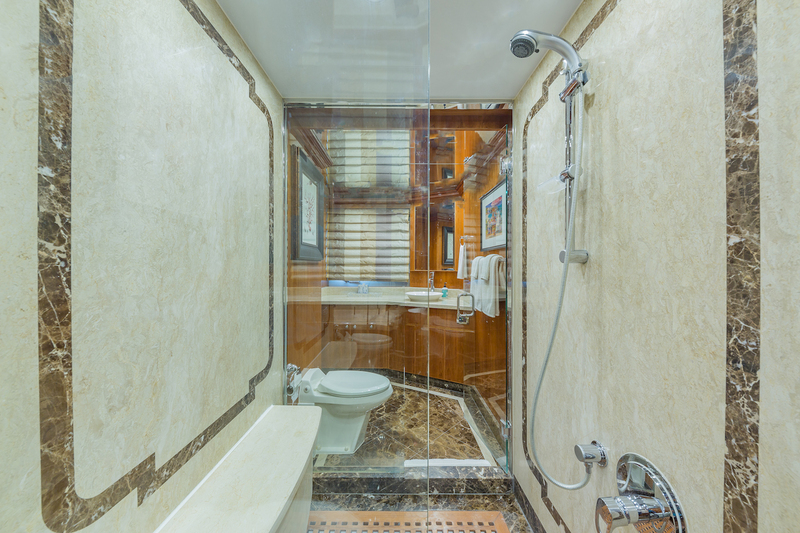 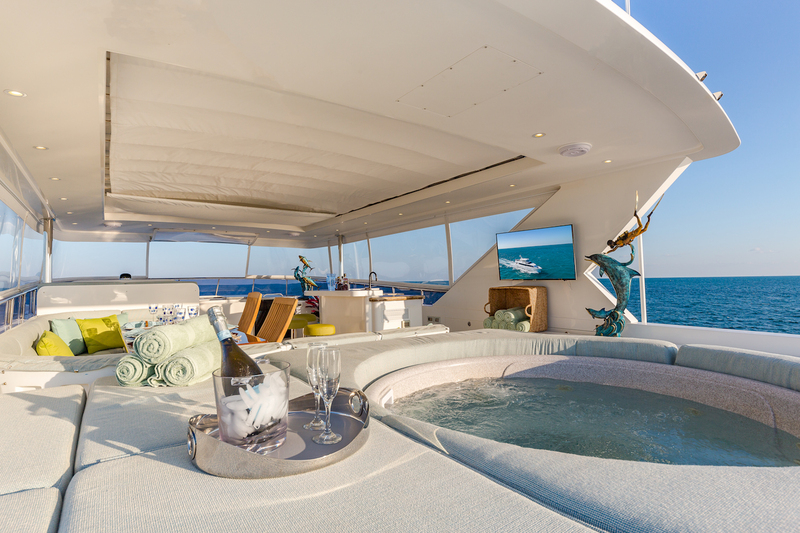 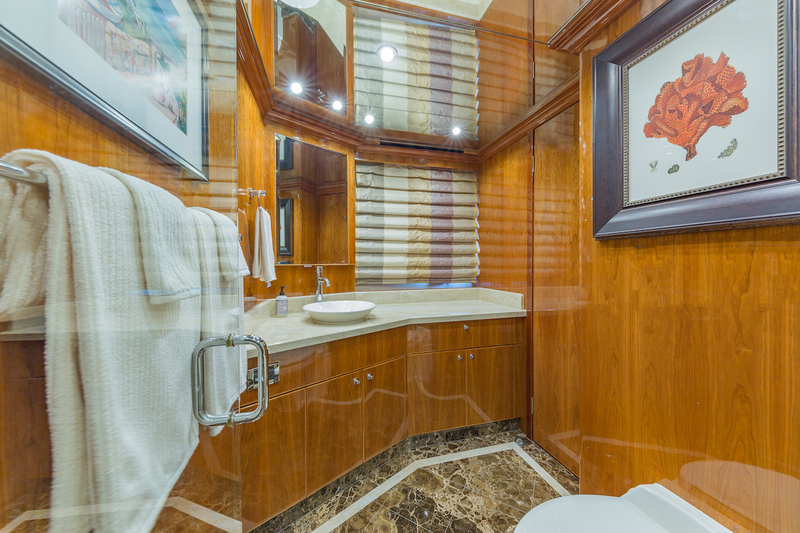 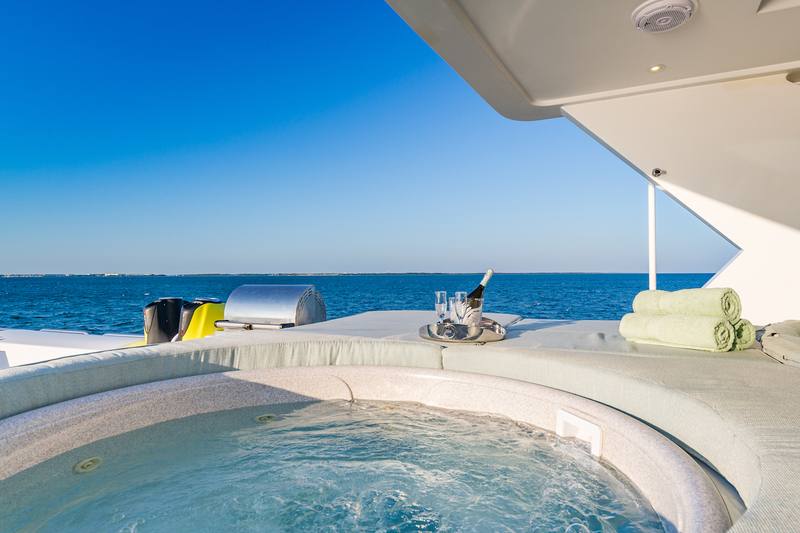 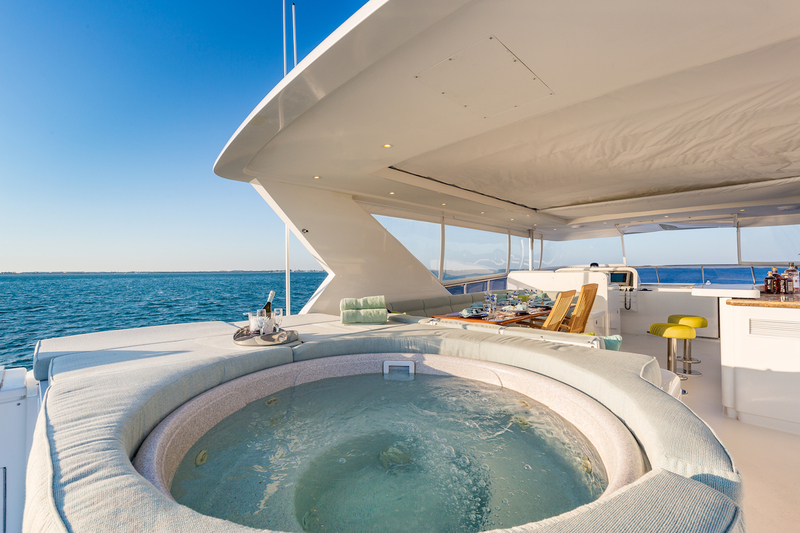 The top deck features an electric sunroof and a six-person heated Spa Pool tub. 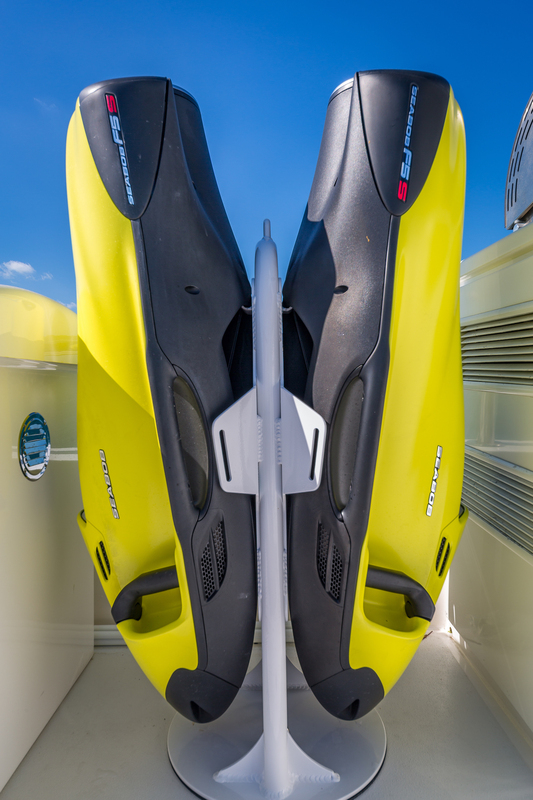 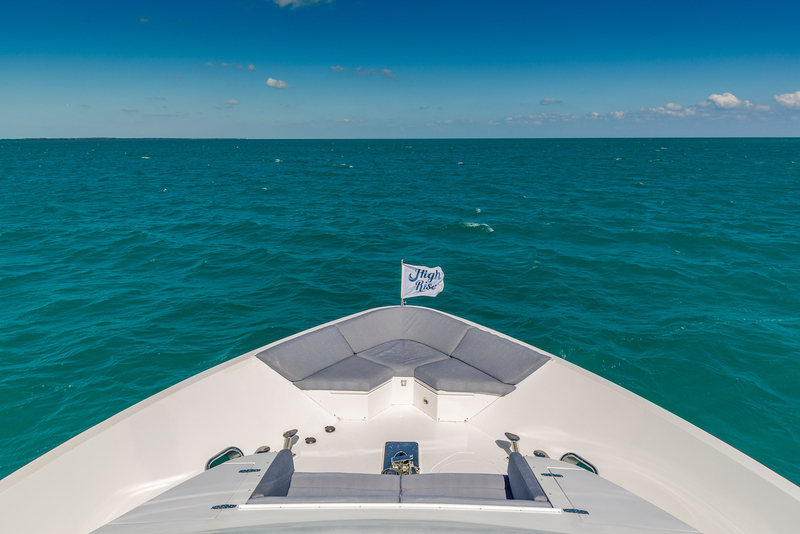 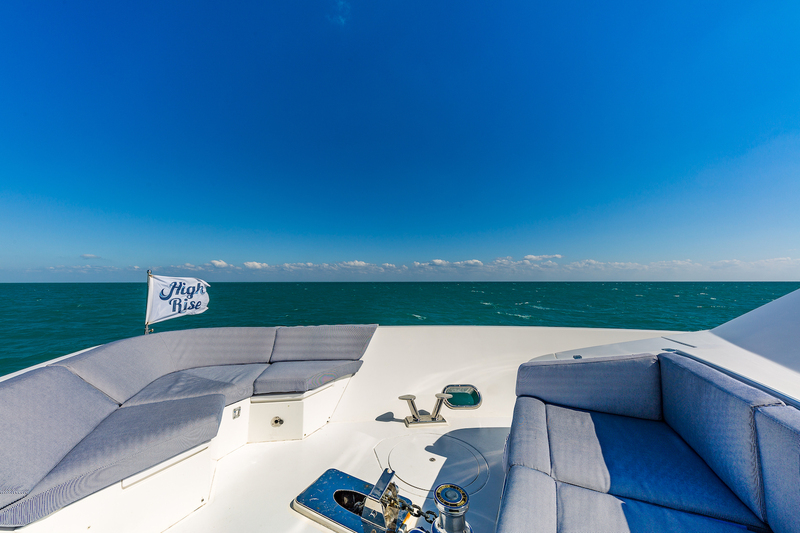 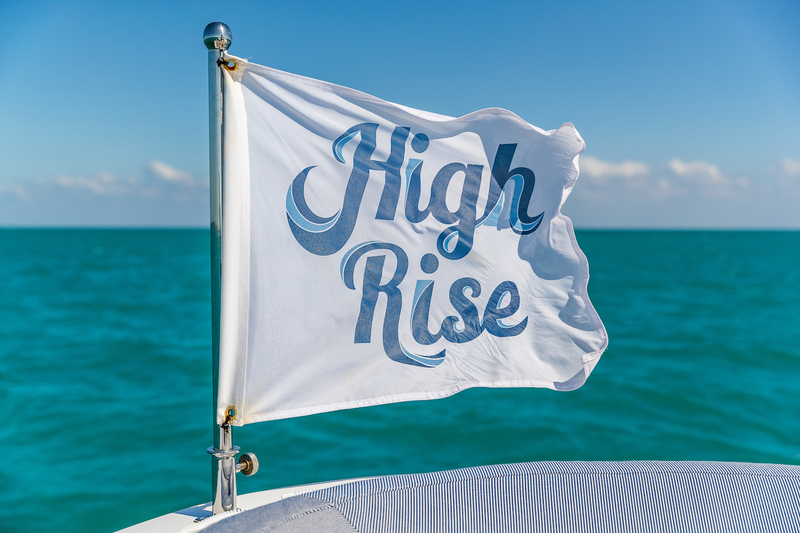 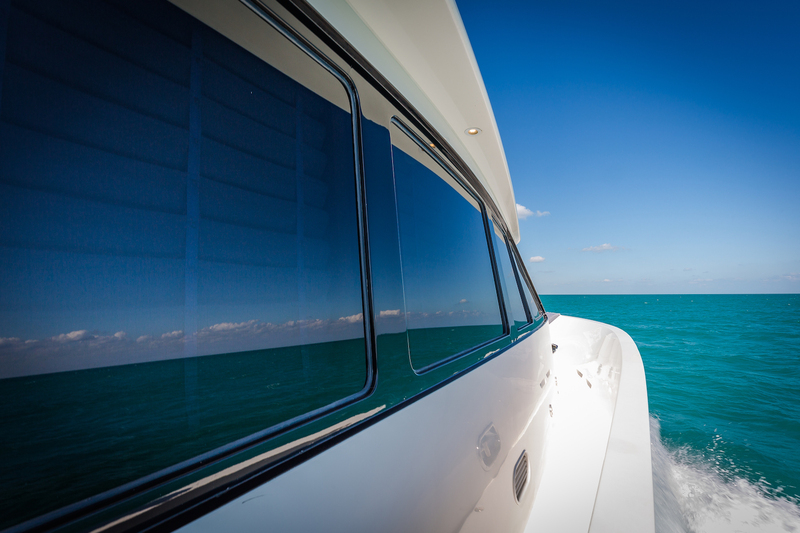 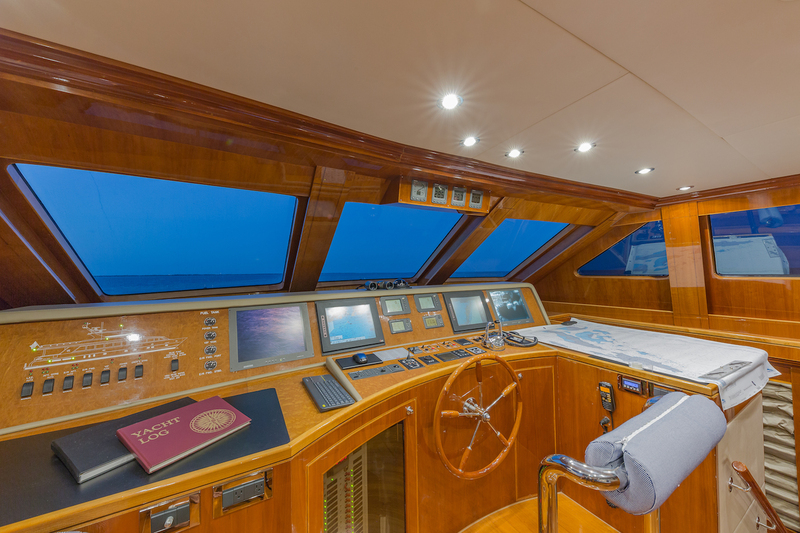 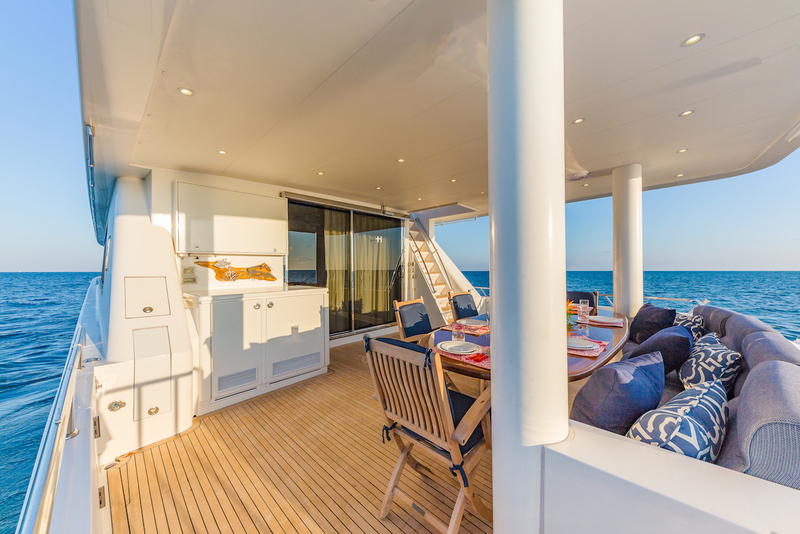 HIGH RISE boasts a fibreglass hull with a beam of 6.40m (21'). 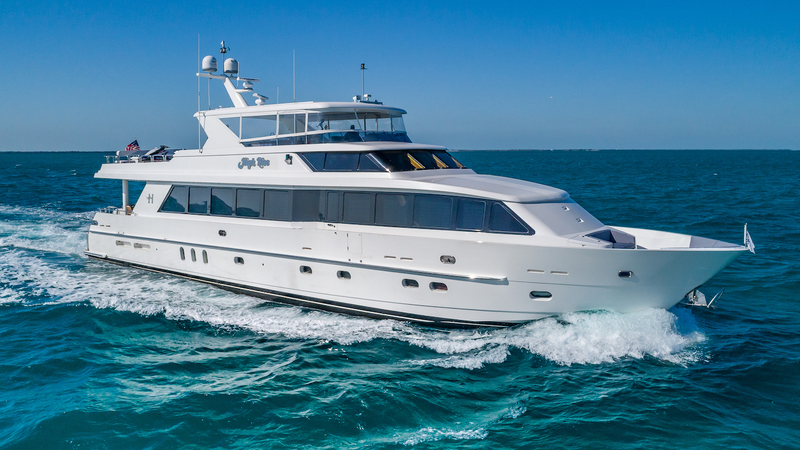 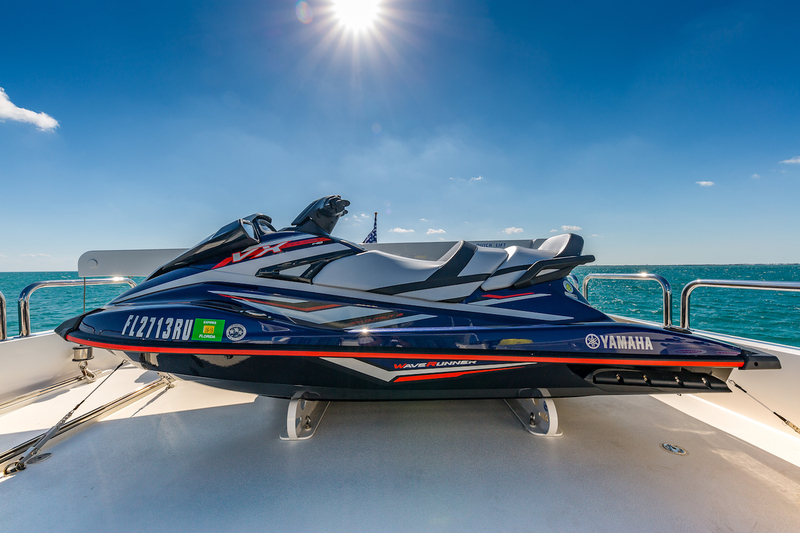 She is powered by a Caterpillar C32 Inboard diesel engines, allowing her to reach a top speed of 20 knots, with a cruising speed of 15 knots. 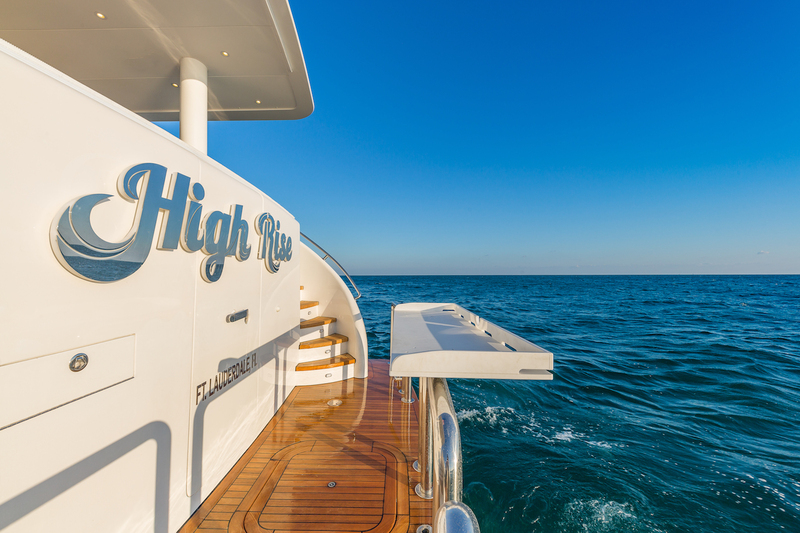 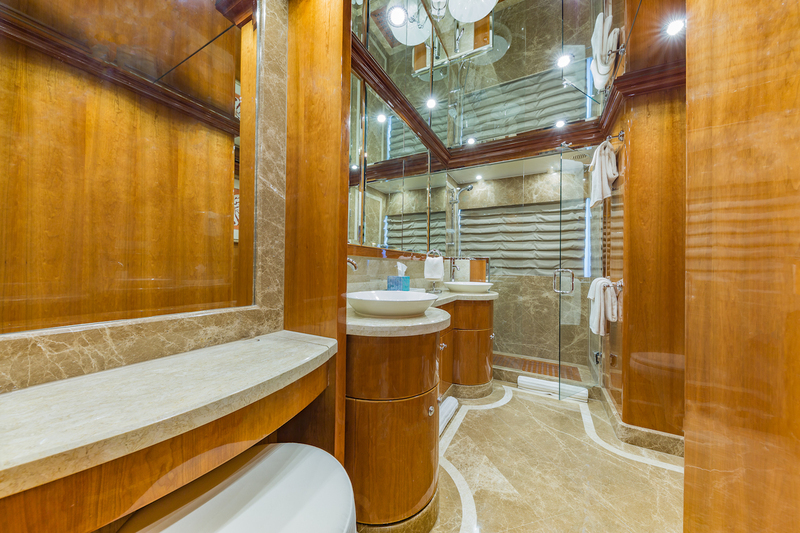 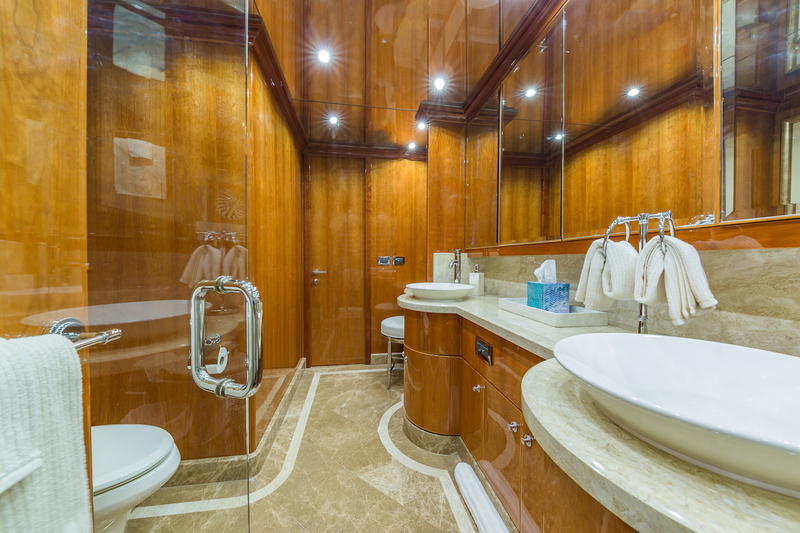 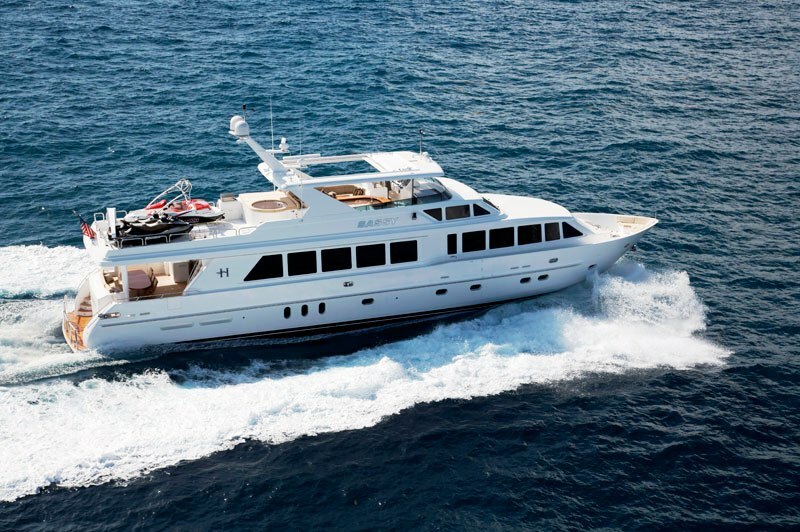 The 30.78m (101') superyacht HIGH RISE accommodates 9 guests in 4 stunning cabins, looked after by a 4-member crew. 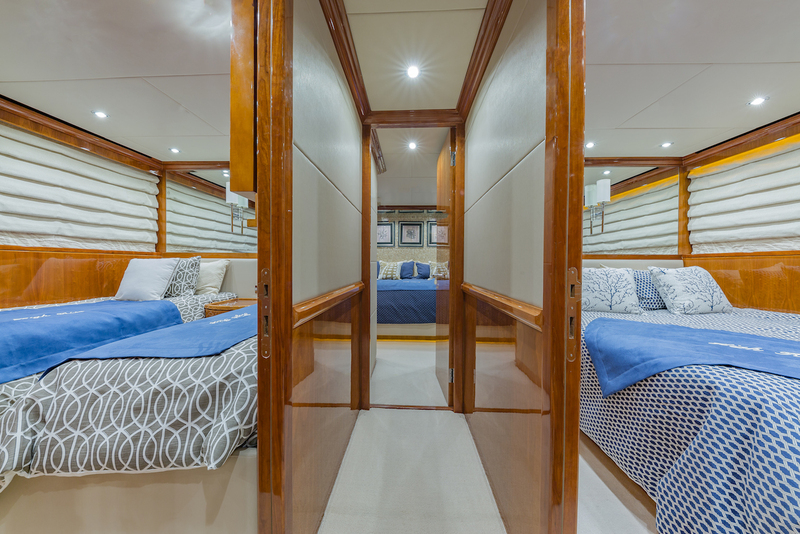 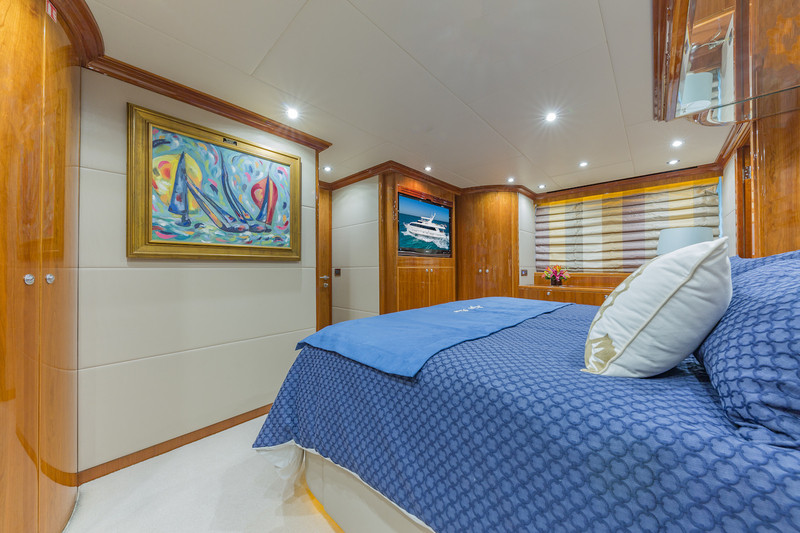 Her accommodation comprises a mixture of a roomy on-deck master suite with a full beam classic VIP suite below, two additional guest cabins, and crew accommodation. 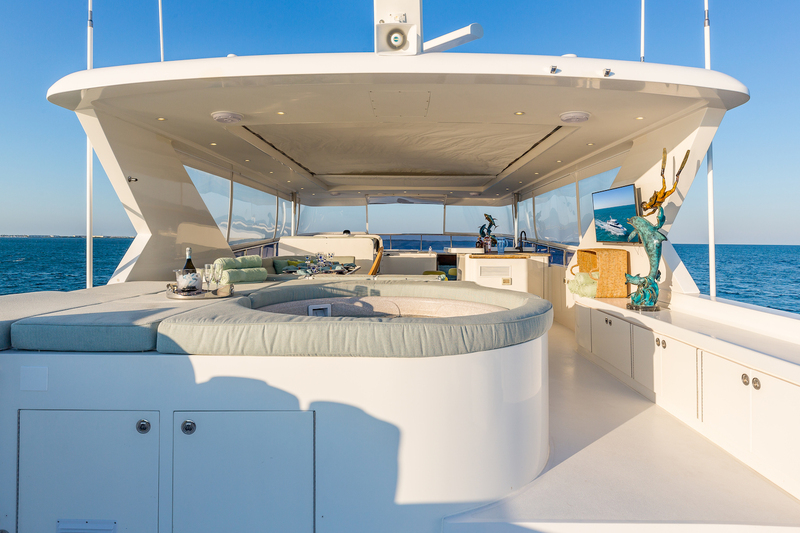 We do have available further amenity, owner and price information for the 30.78m (101') yacht HIGH RISE, so please enquire for more information.